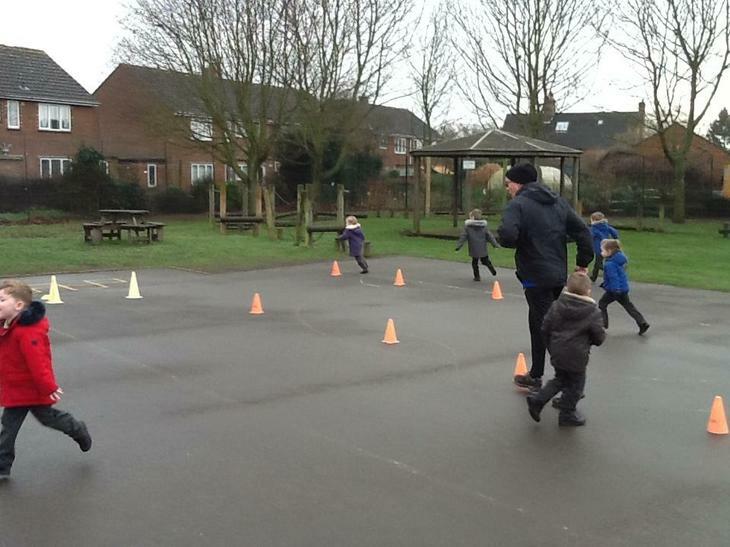 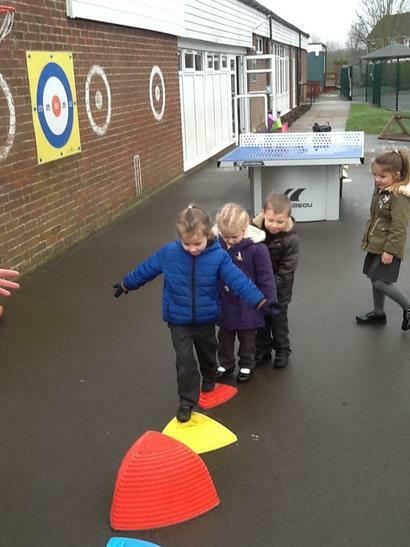 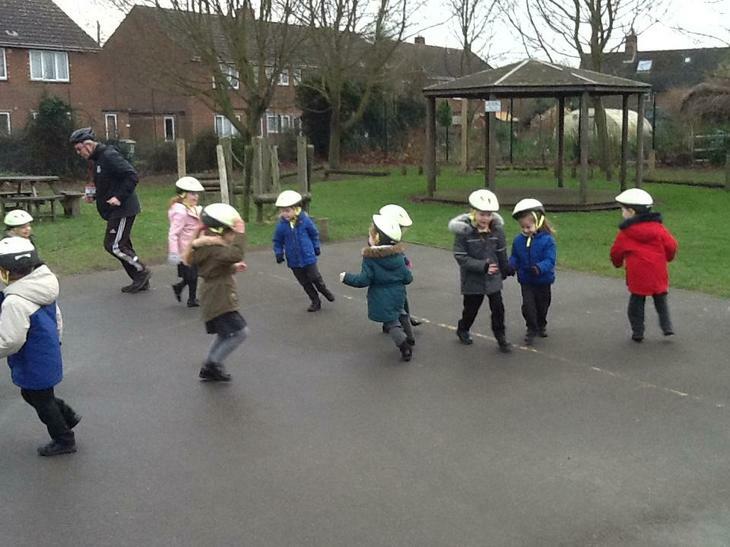 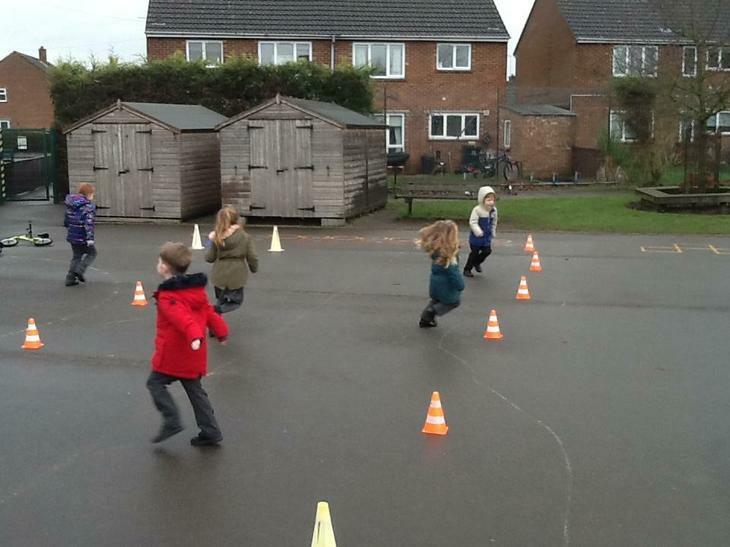 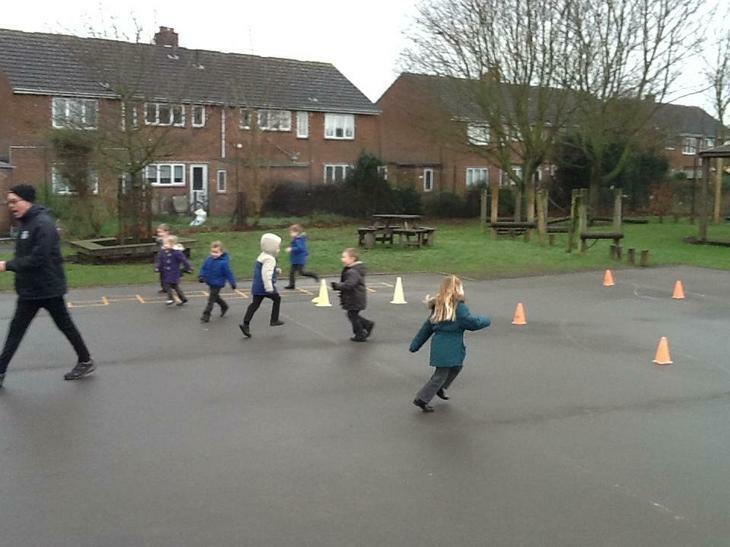 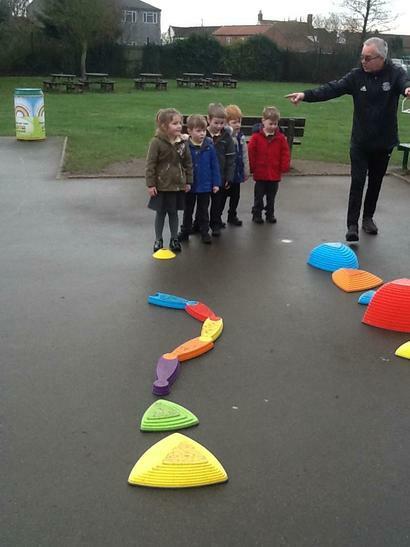 The children have learnt how to avoid obstacles and glide across the playground. 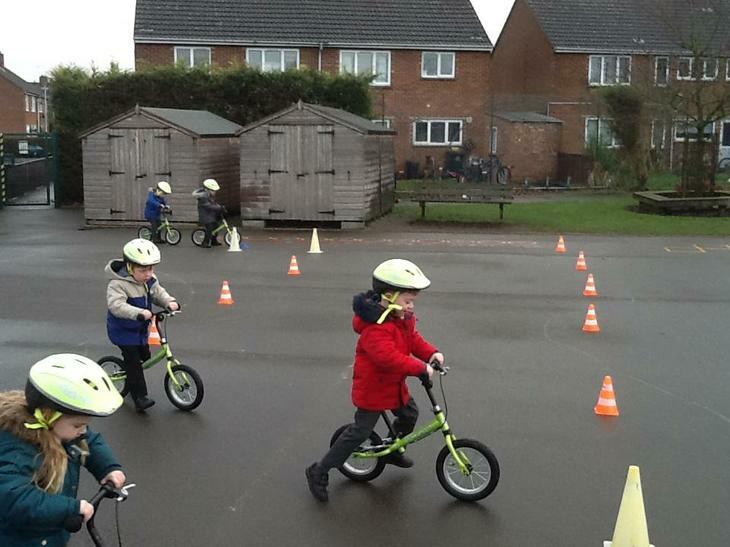 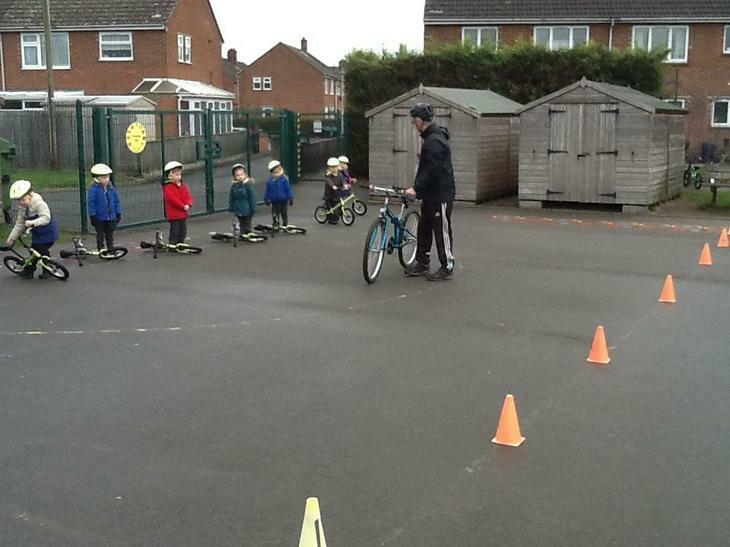 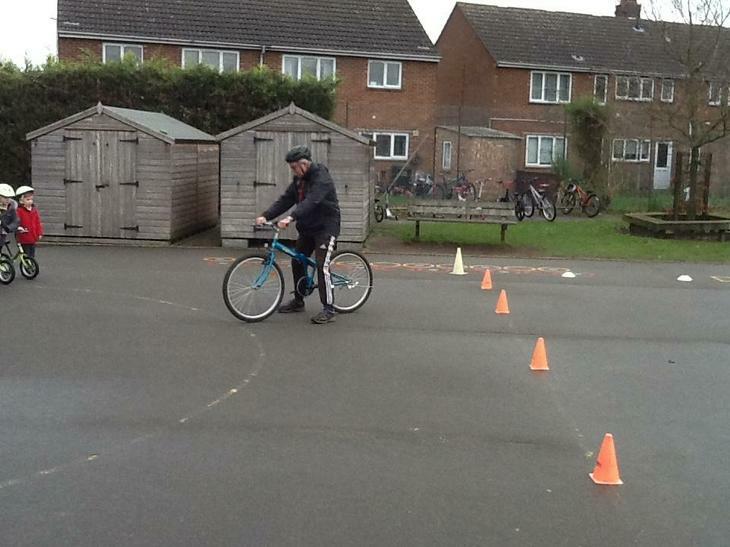 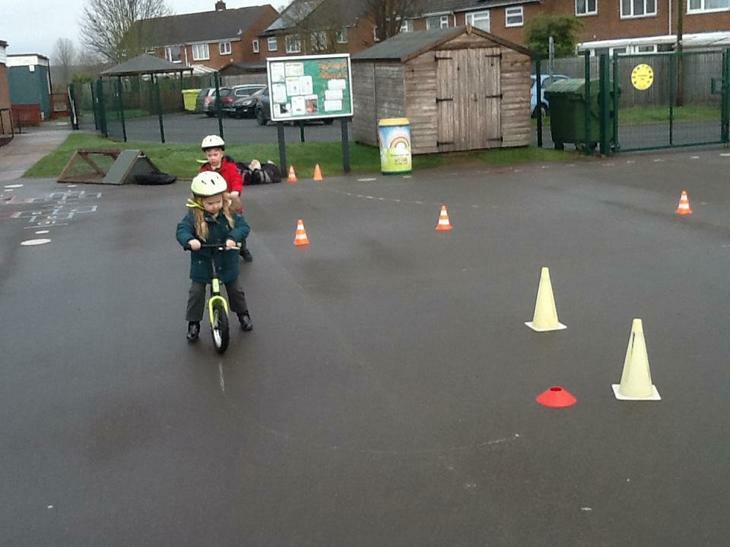 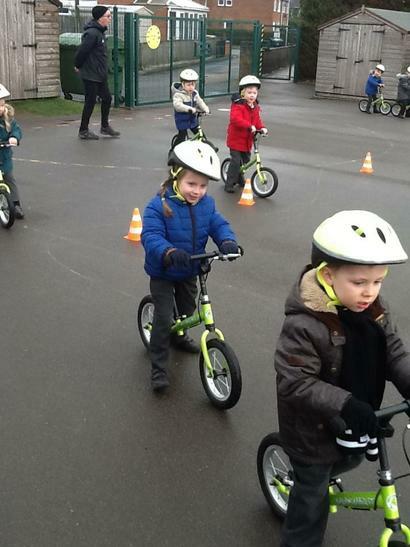 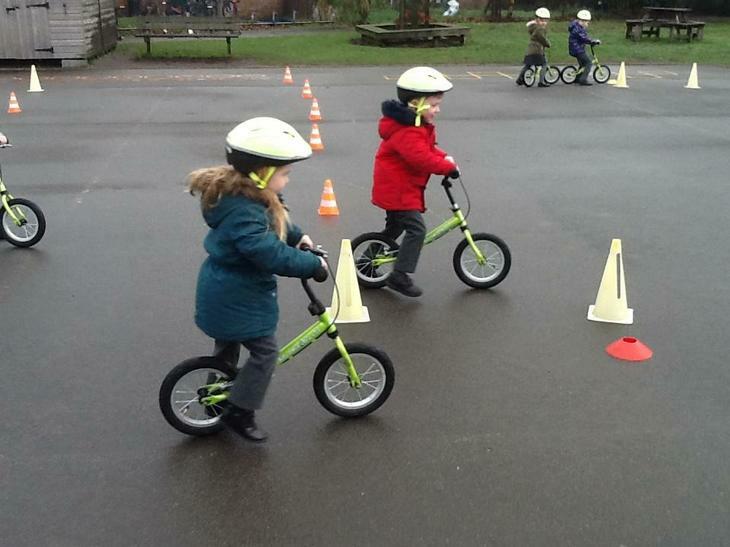 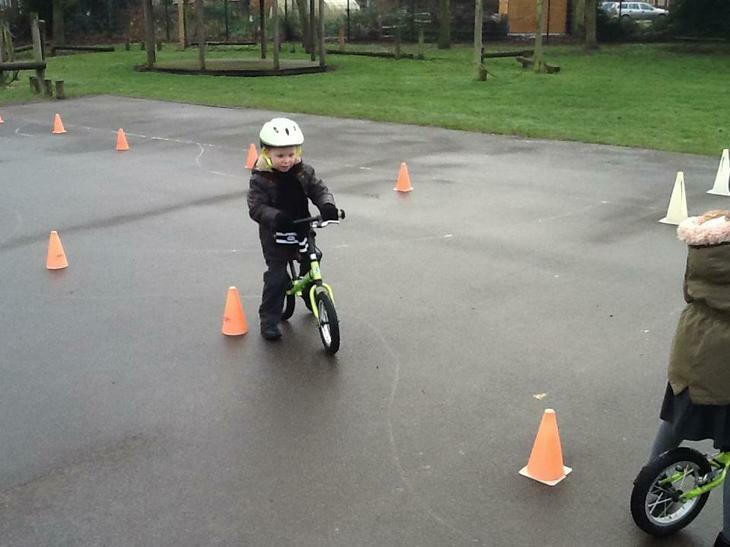 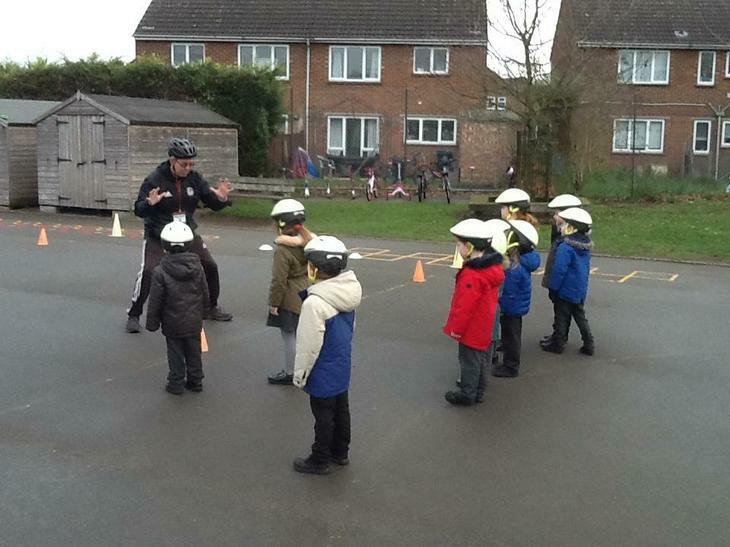 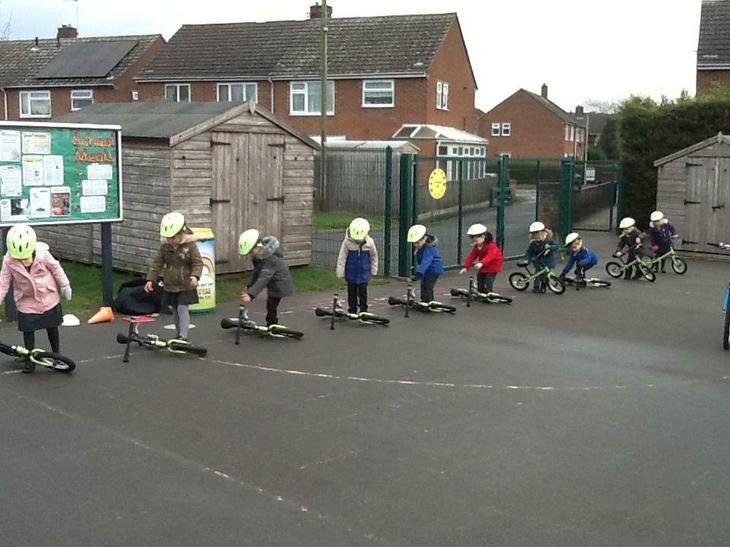 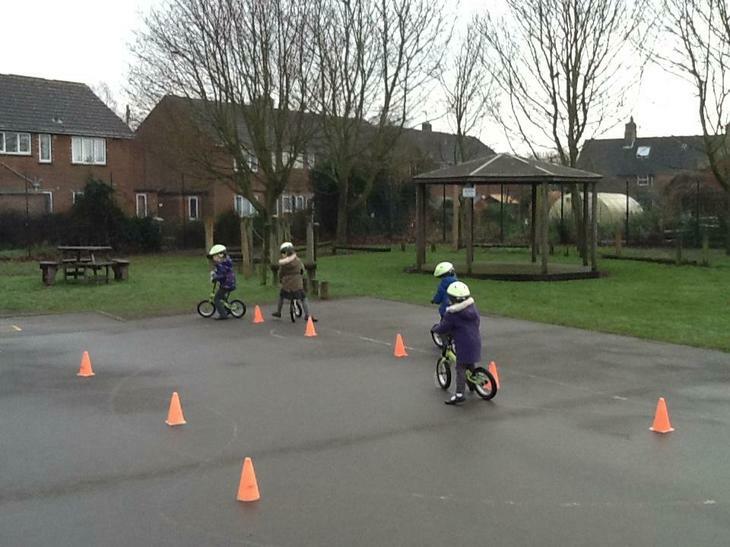 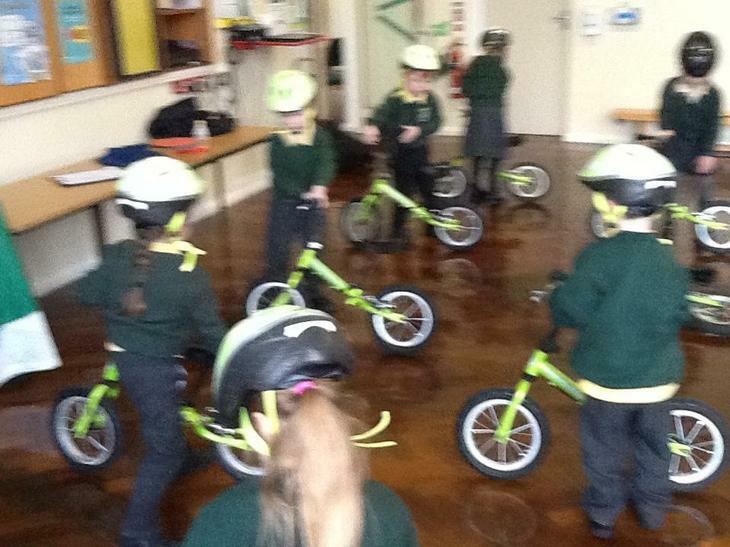 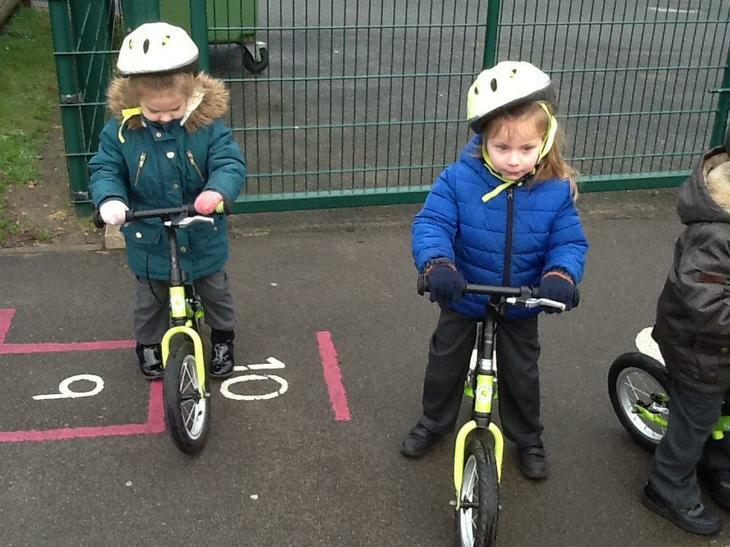 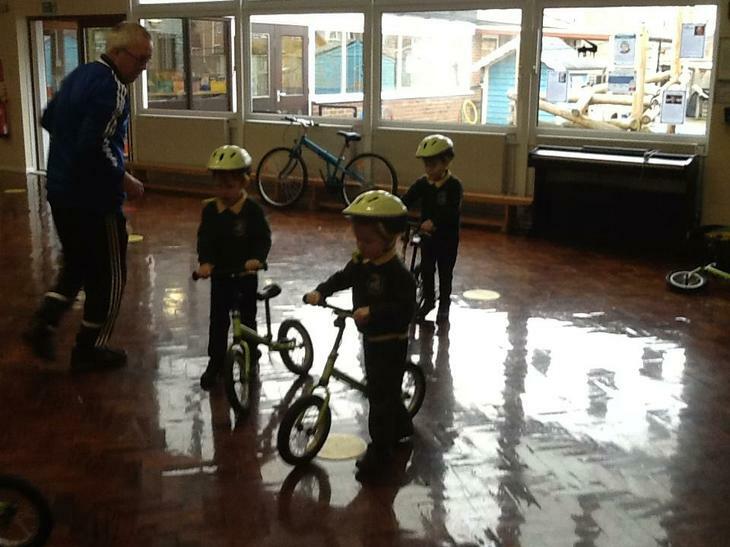 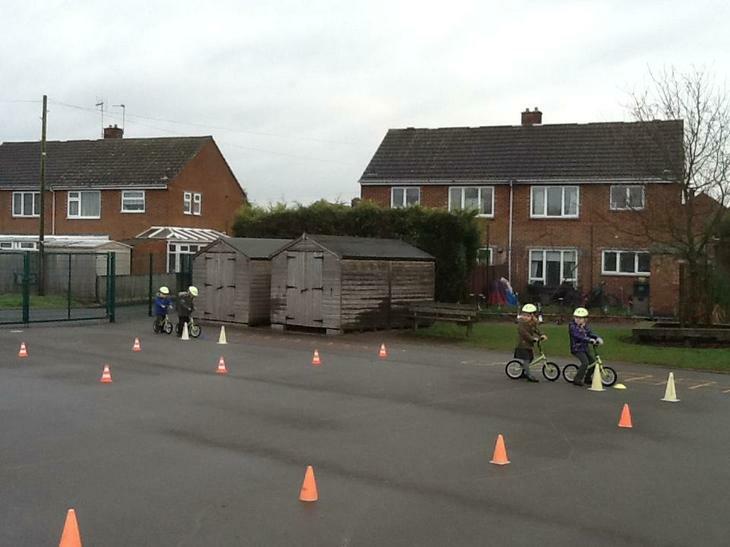 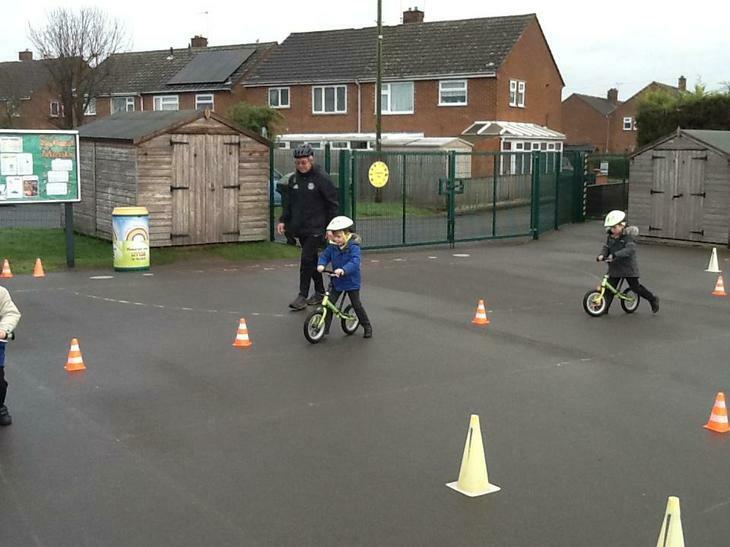 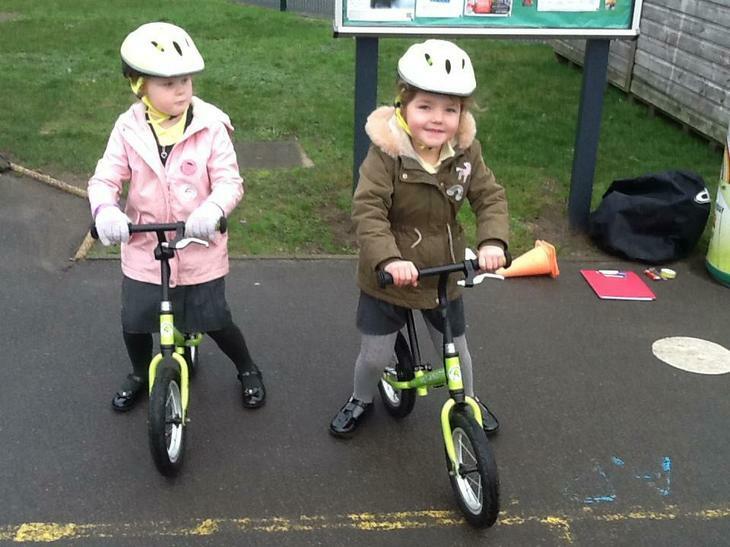 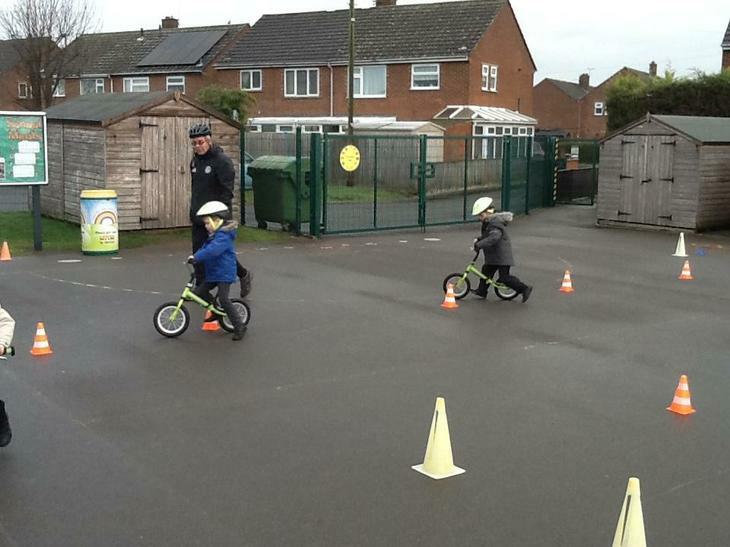 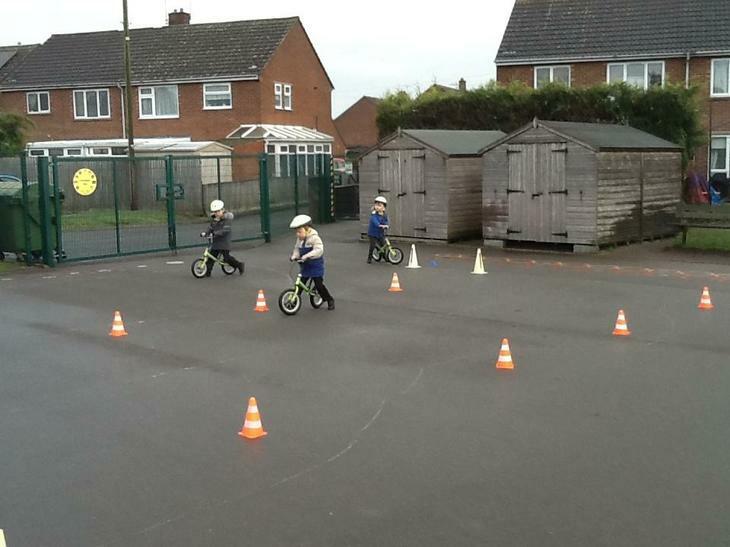 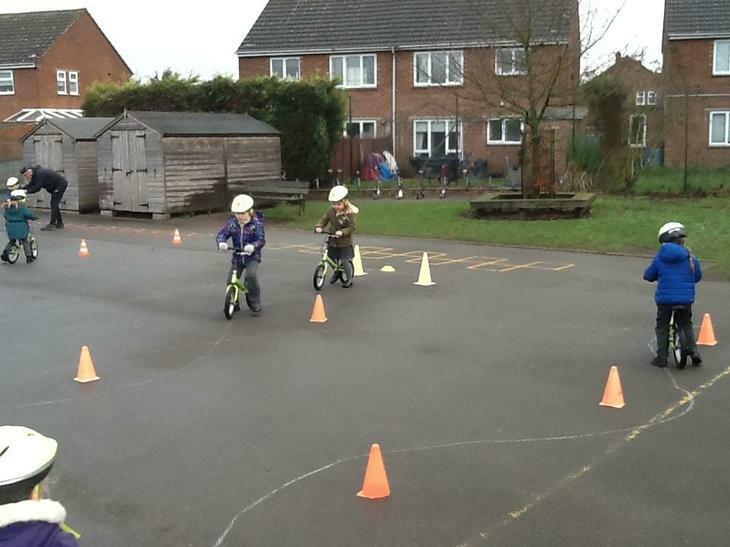 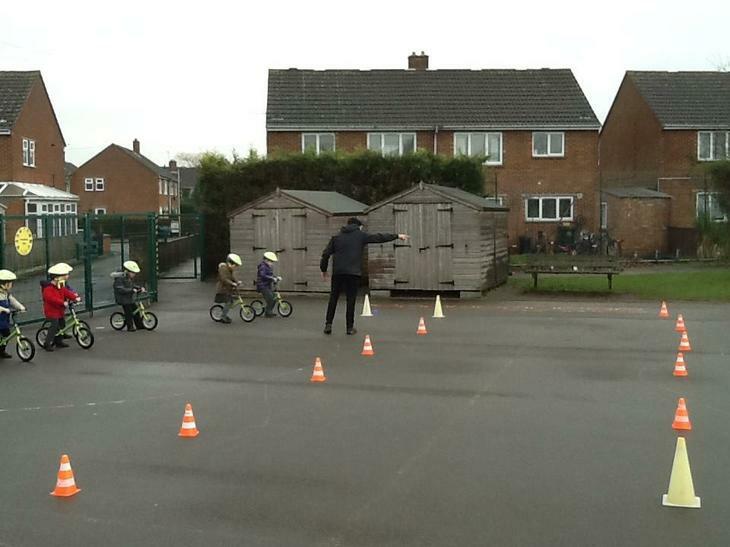 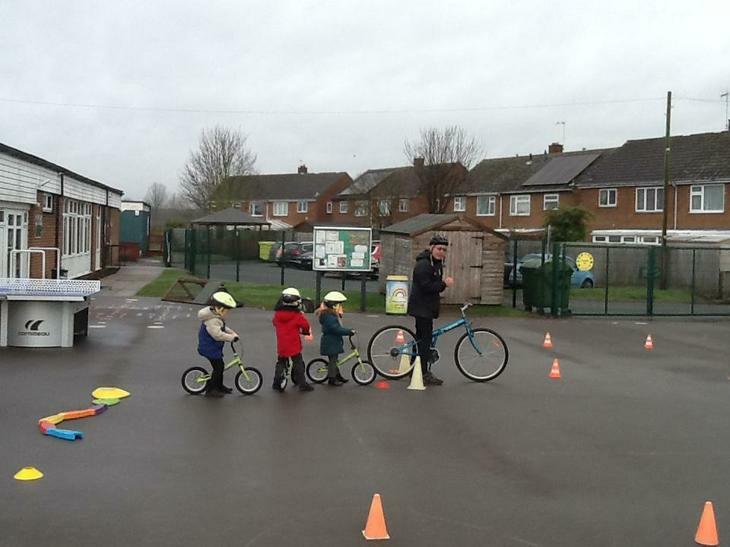 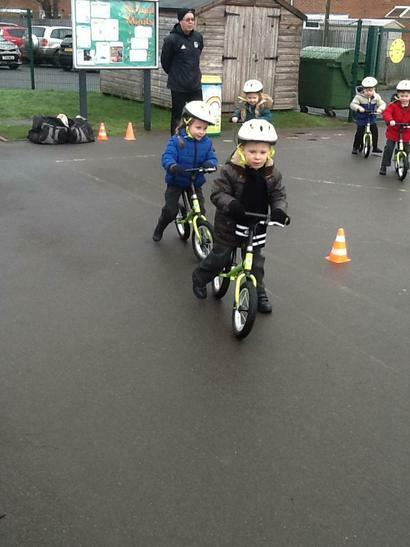 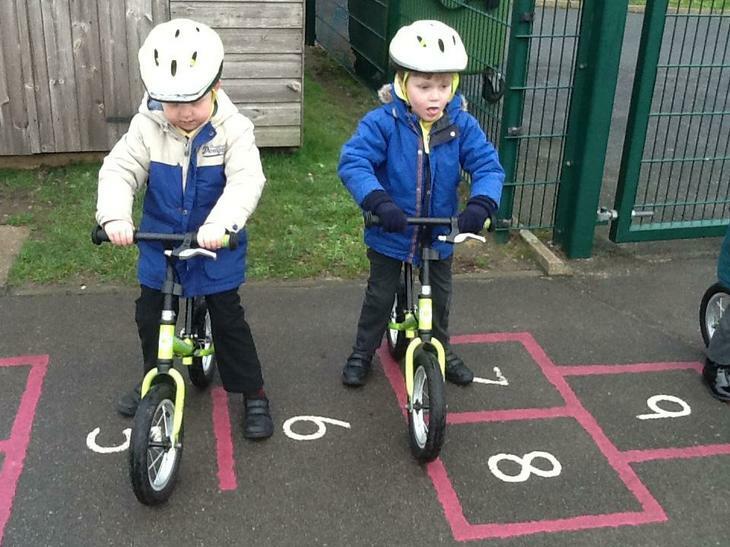 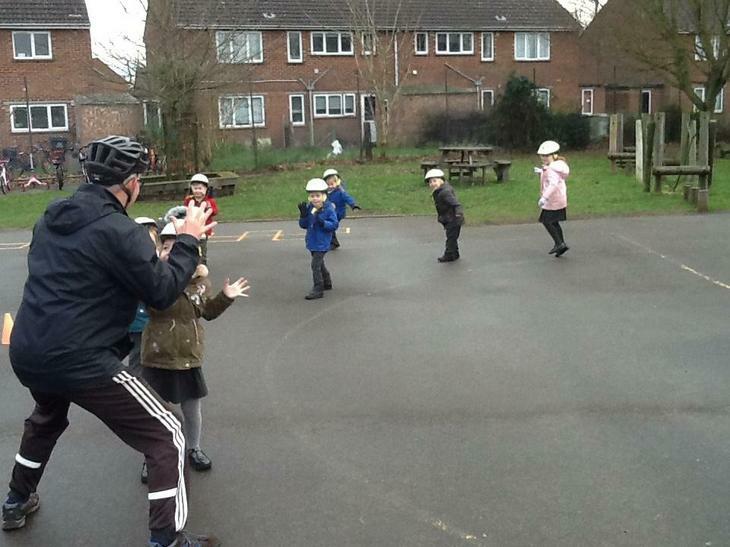 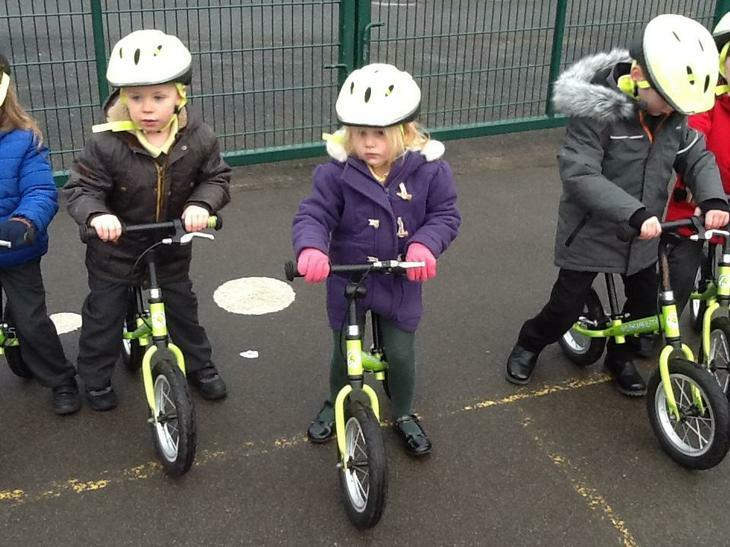 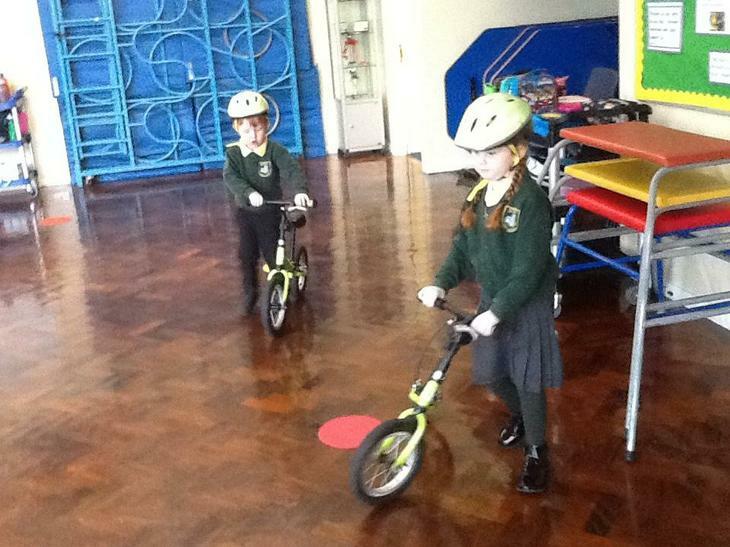 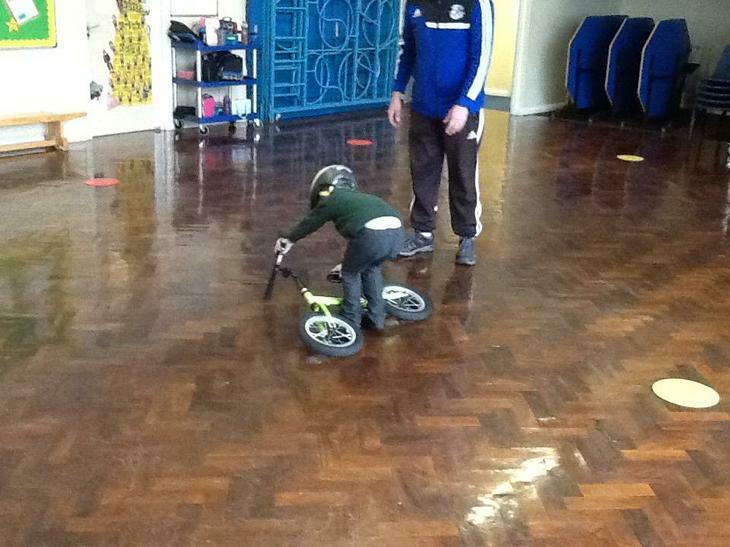 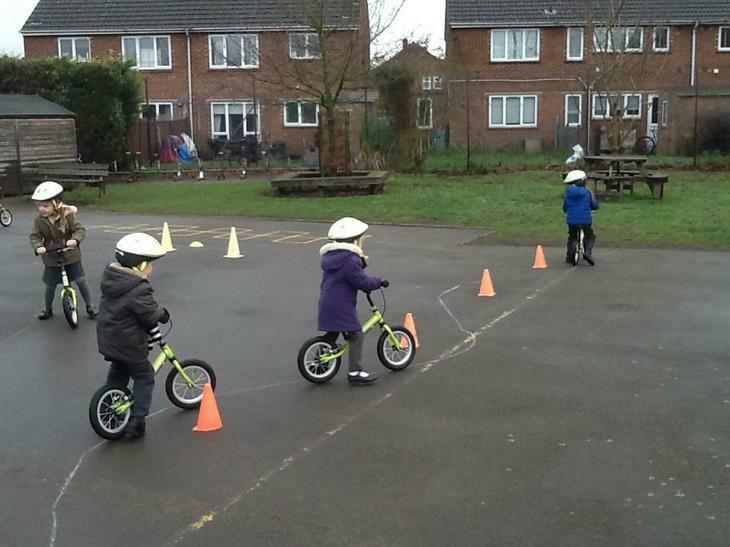 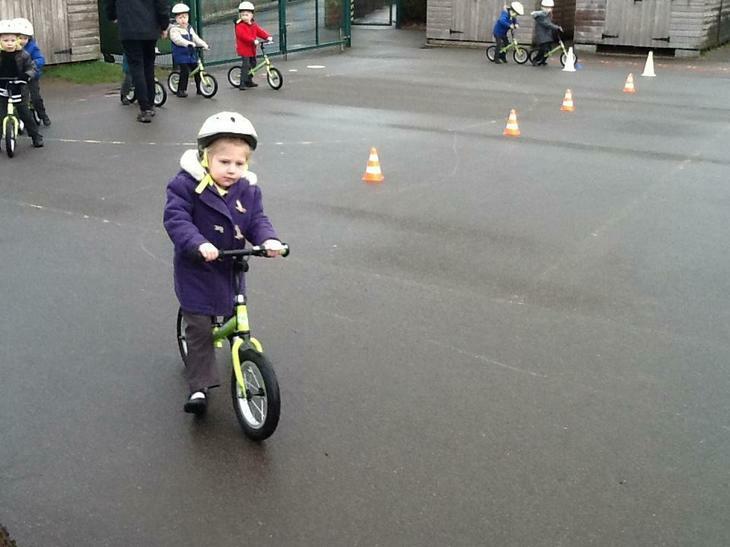 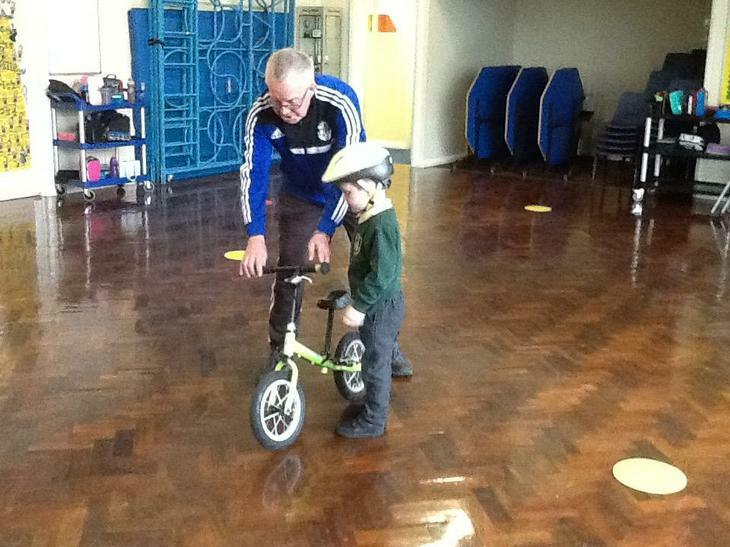 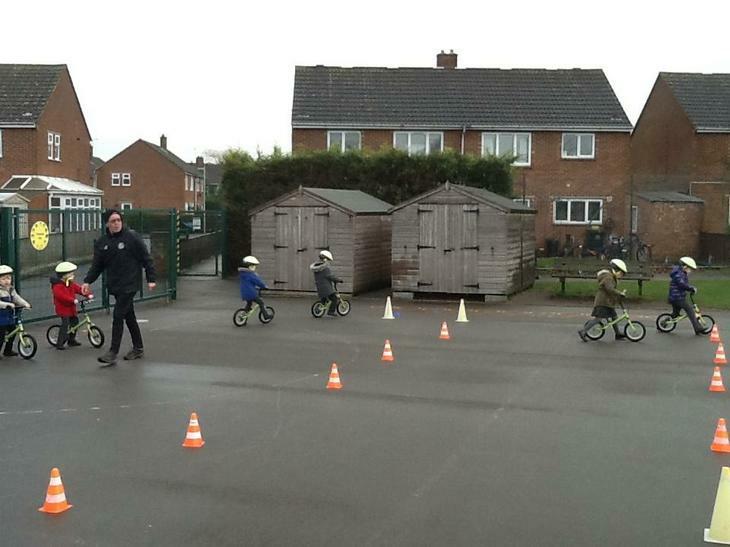 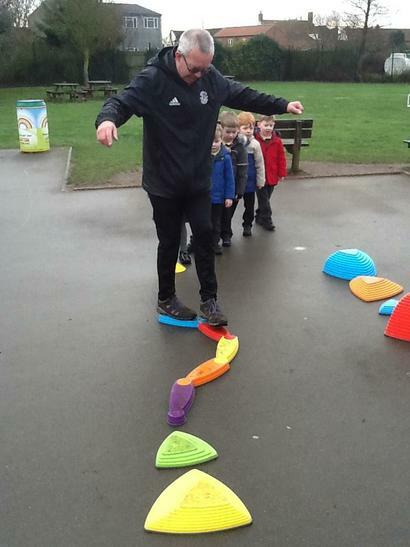 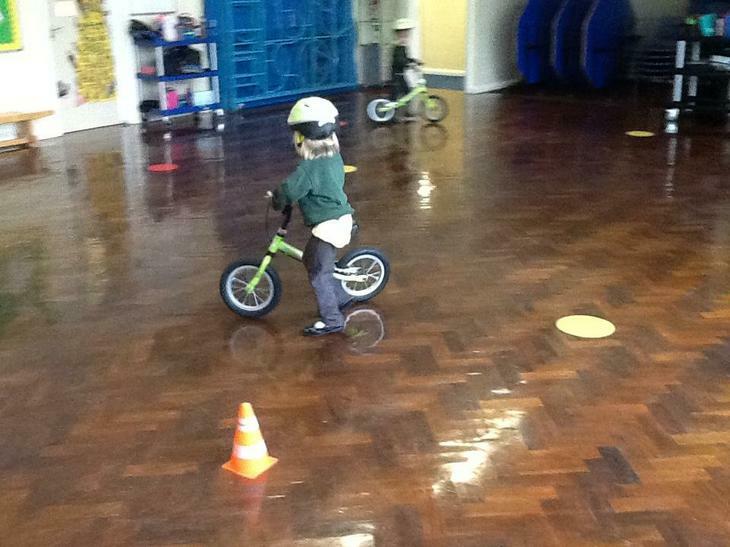 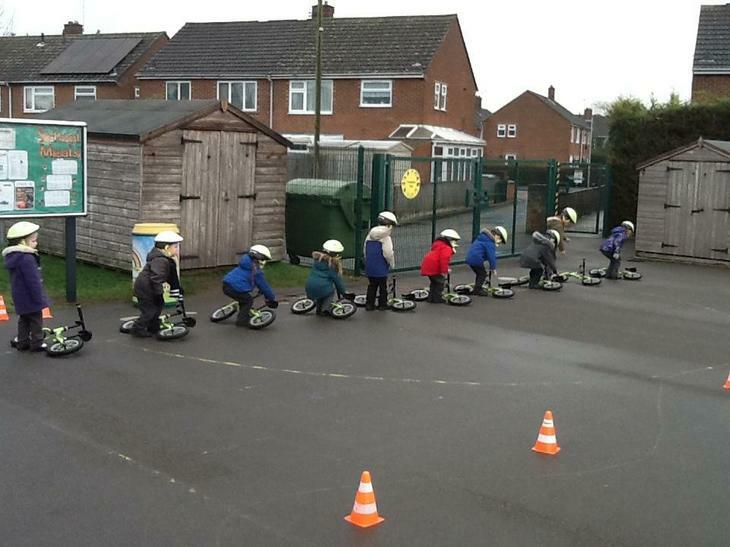 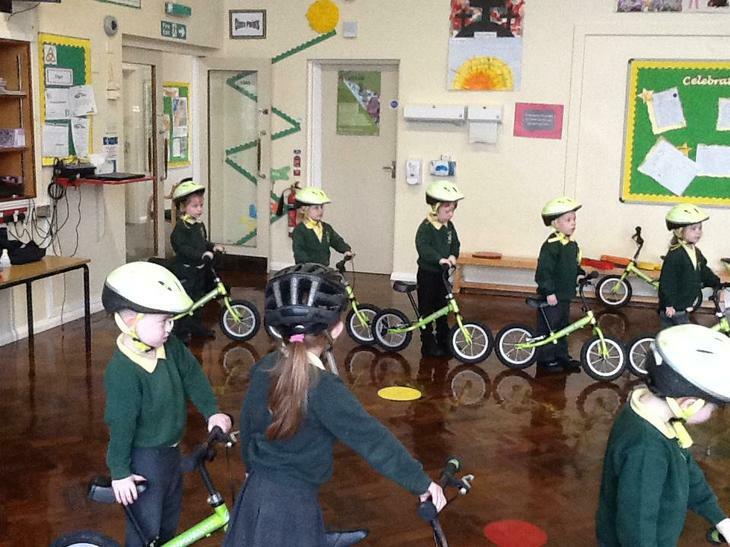 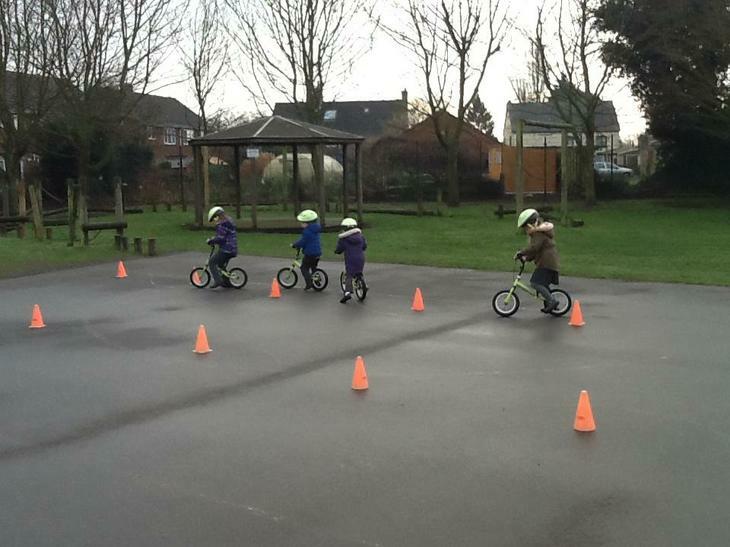 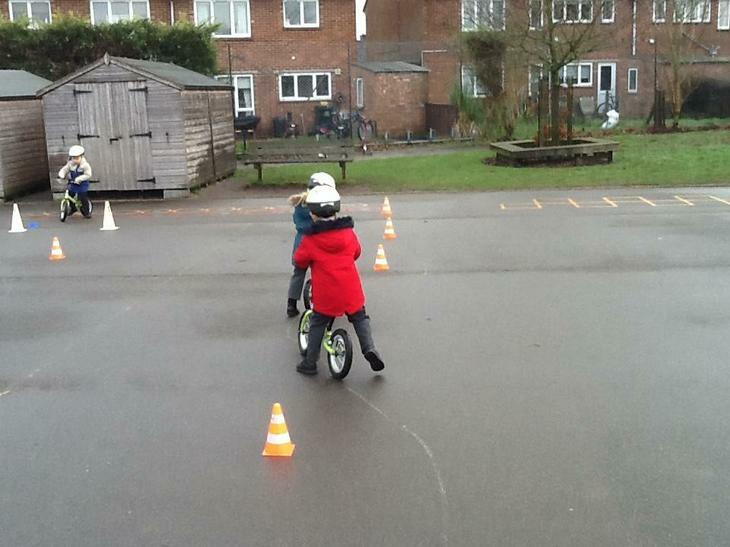 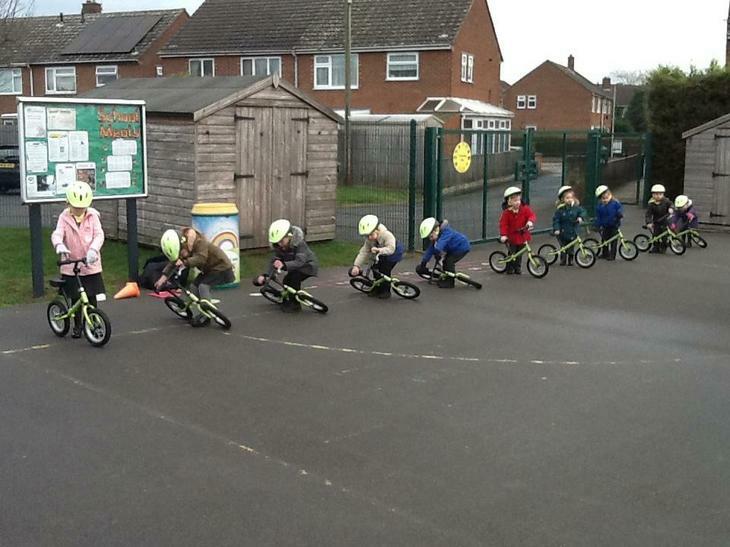 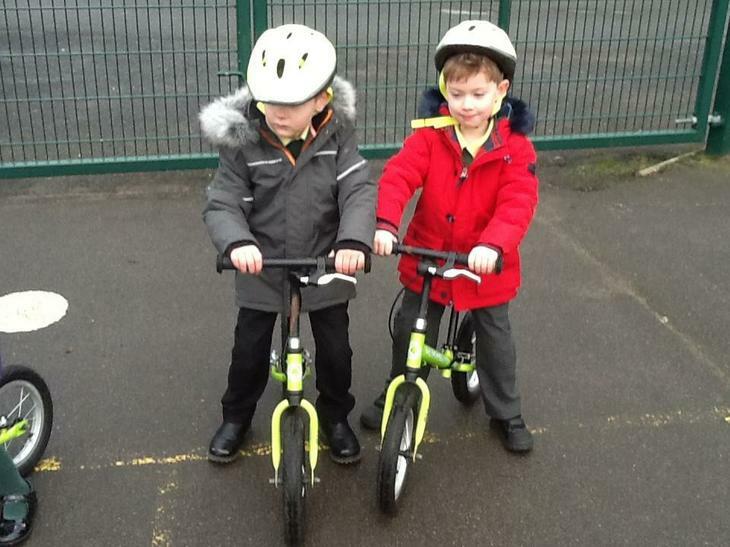 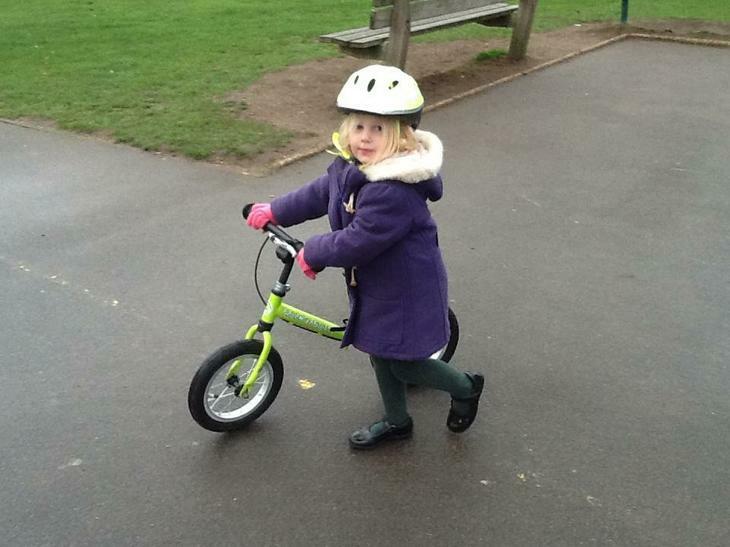 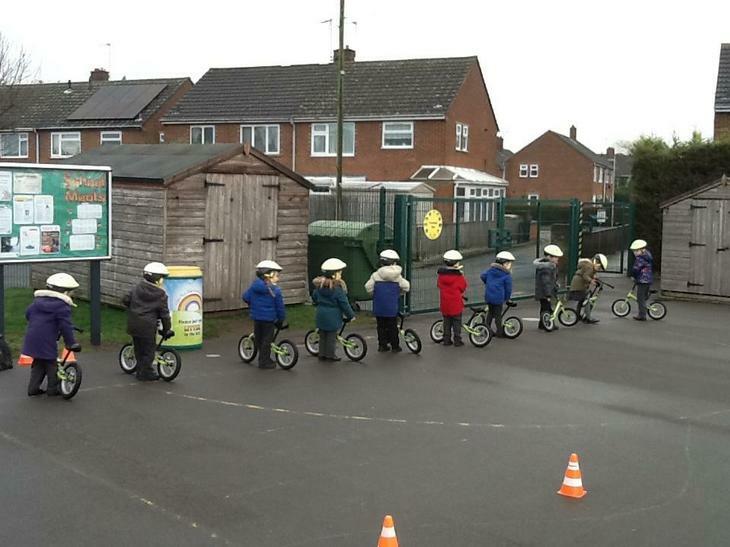 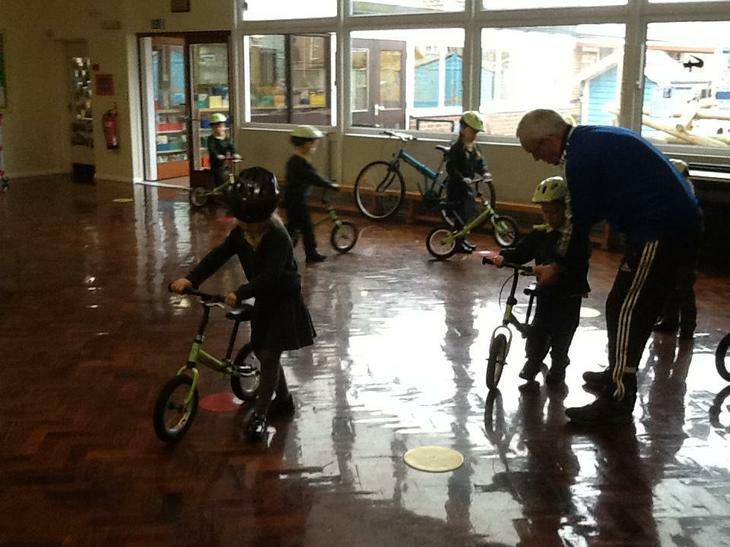 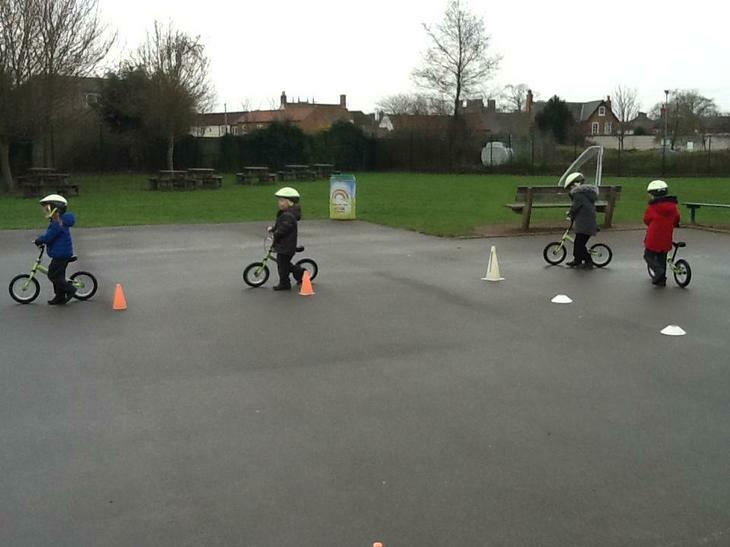 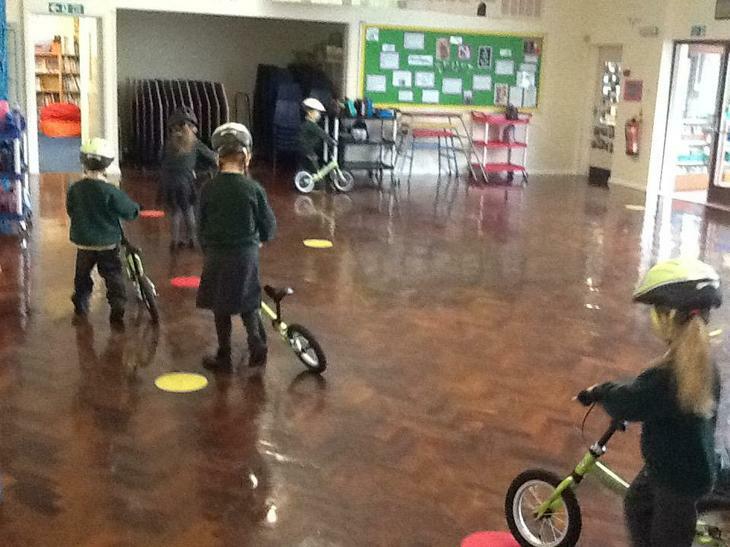 Maple Class have been learning how to balance on balance bikes with JB Sports, giving them the skills they need to be able to ride a bike in the future. 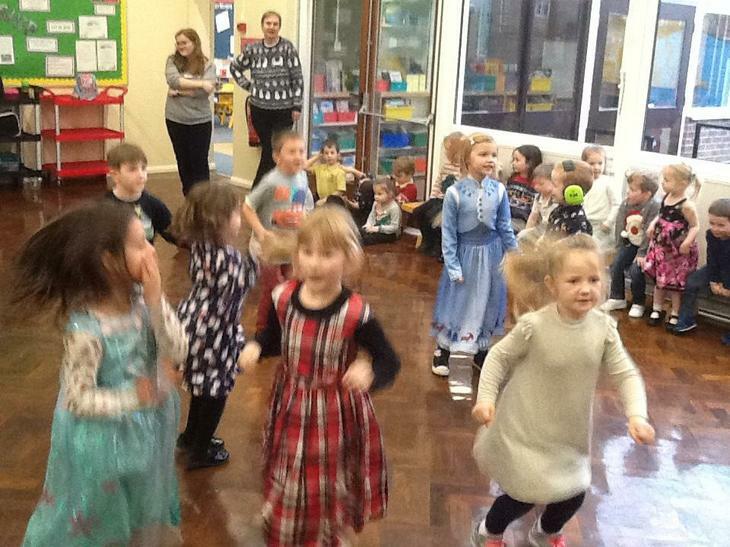 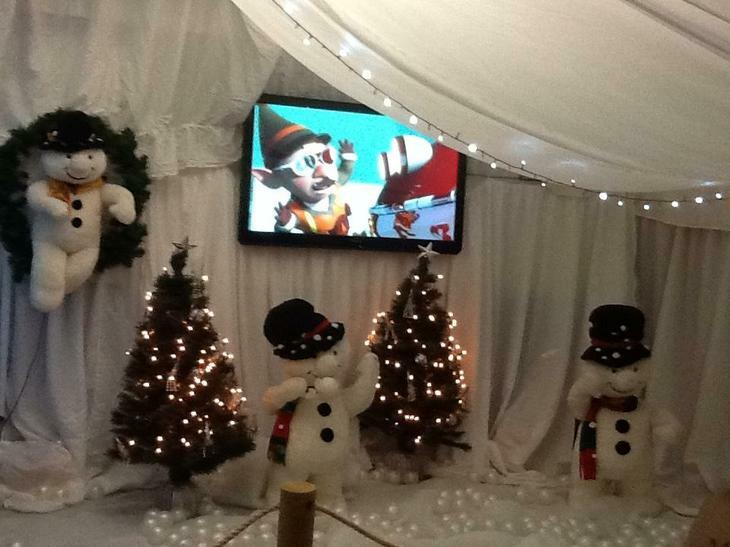 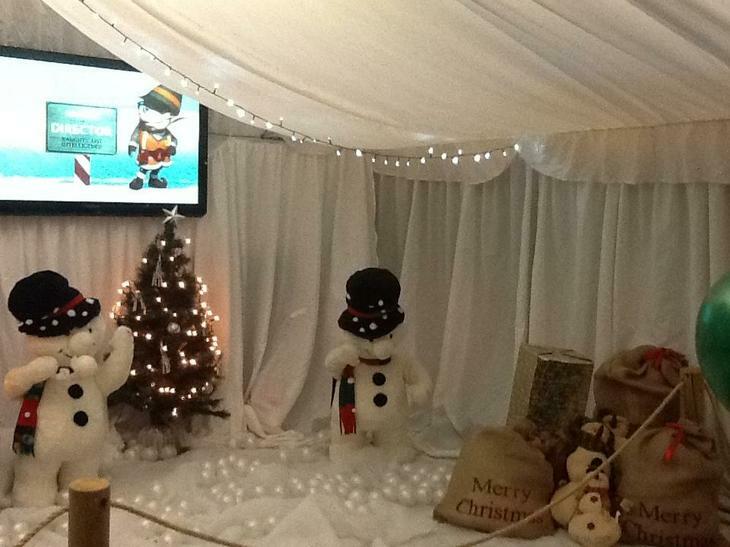 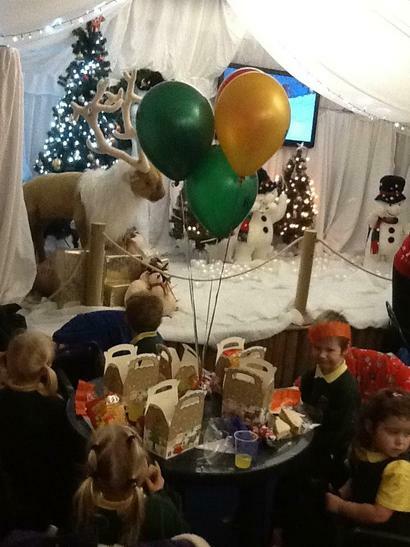 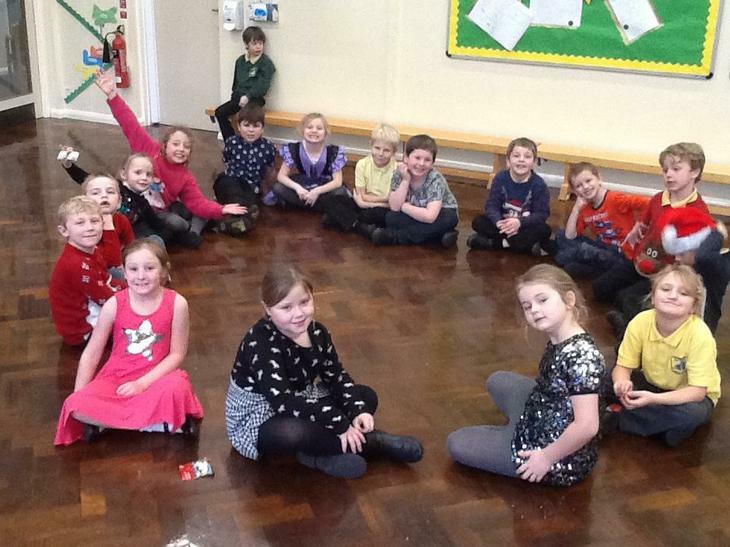 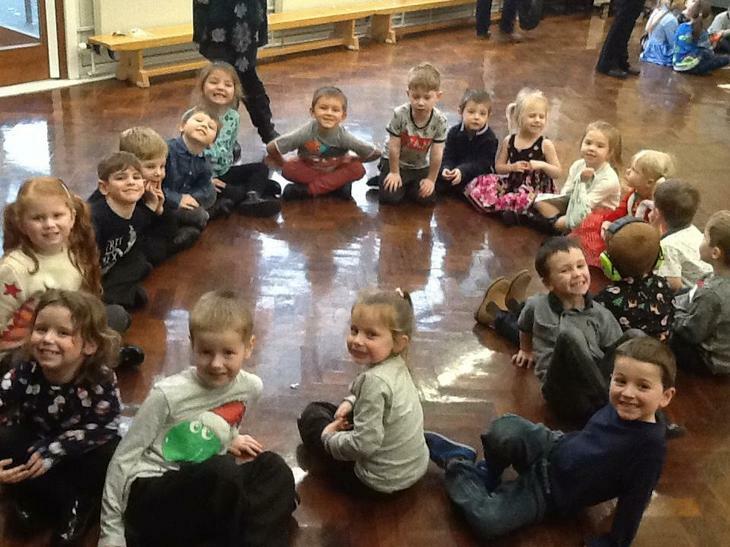 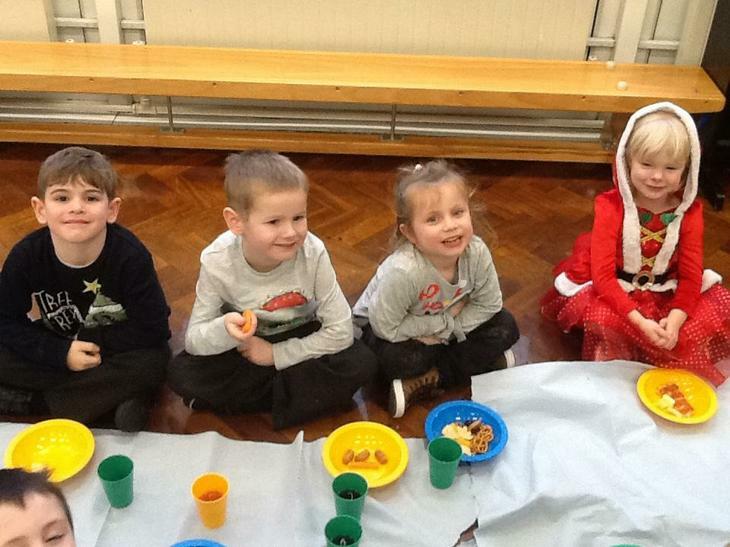 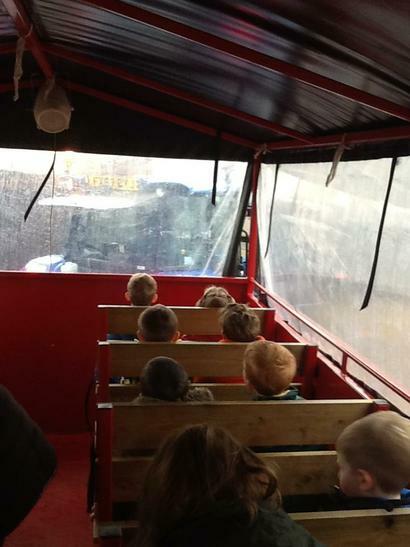 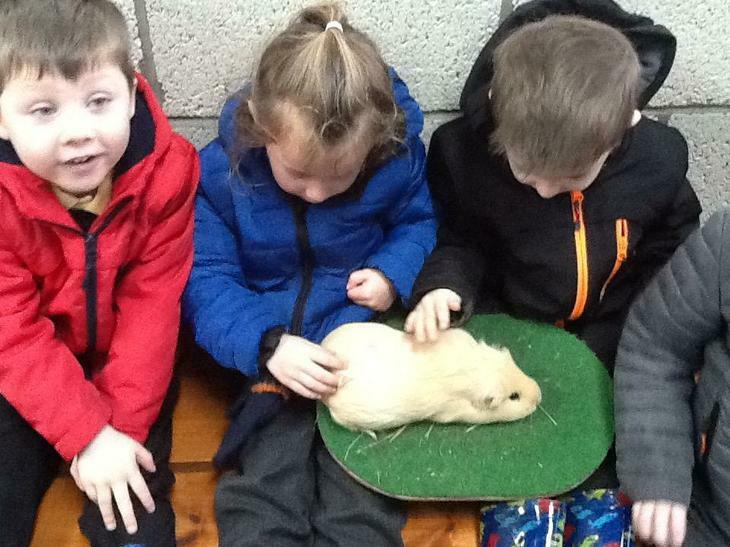 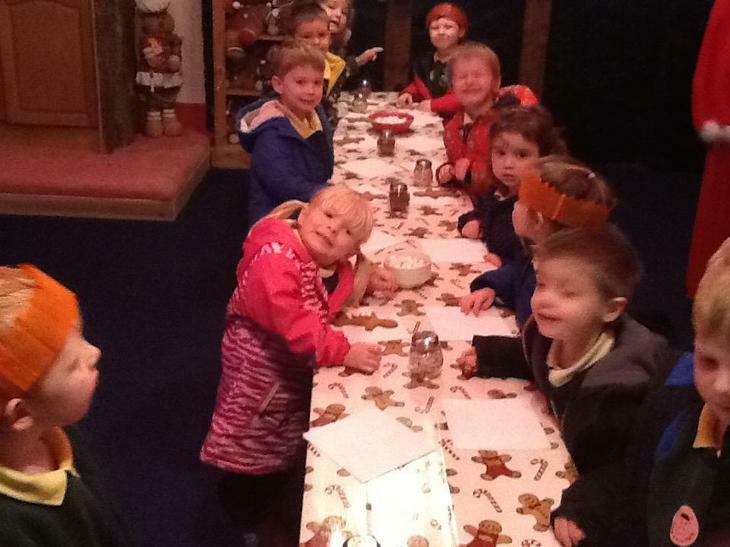 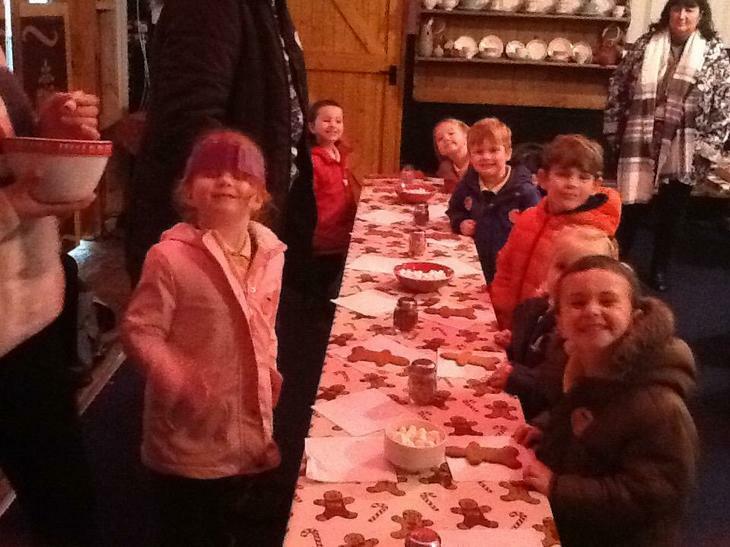 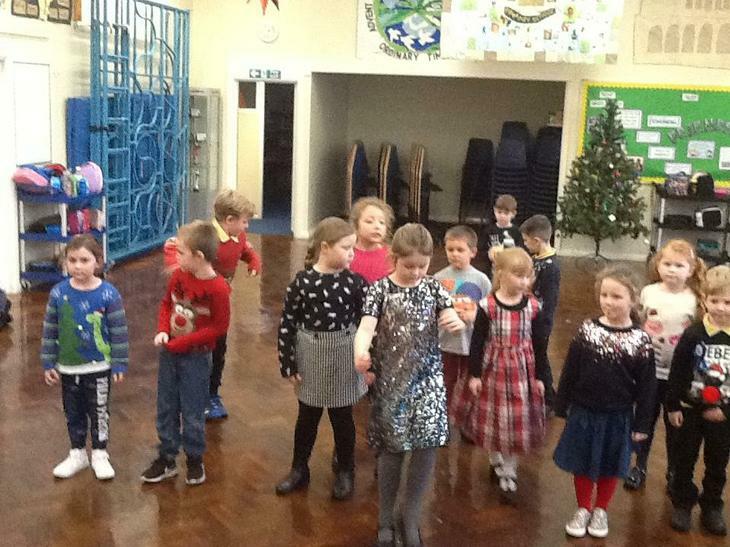 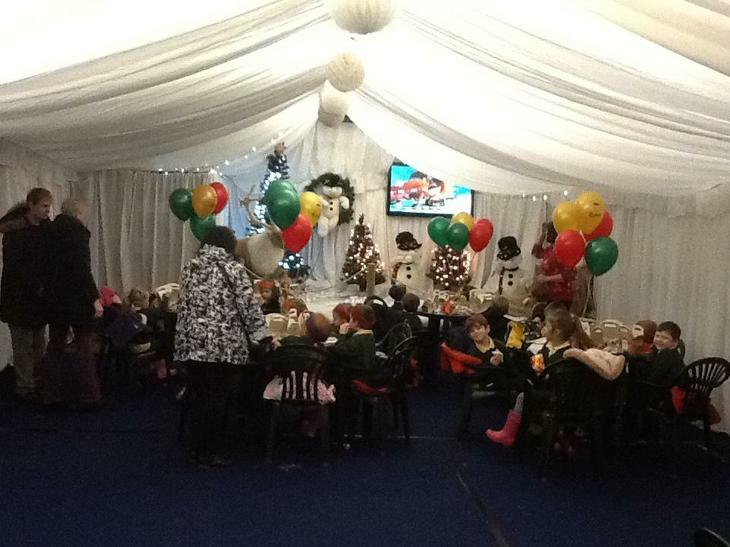 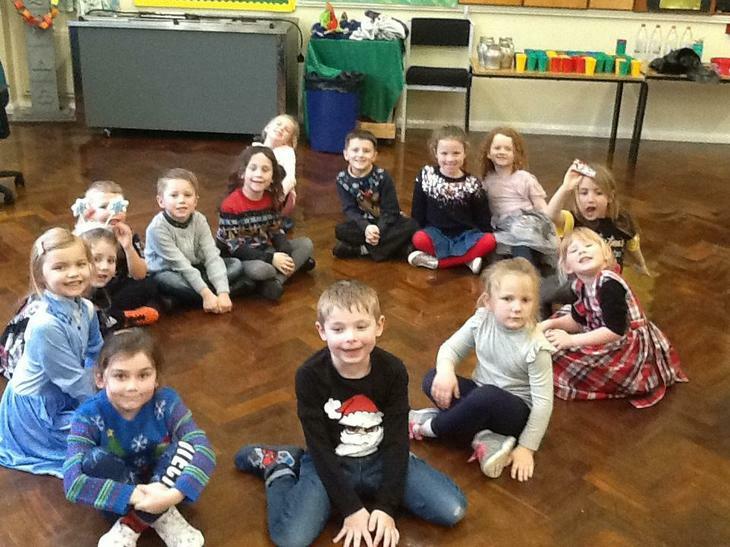 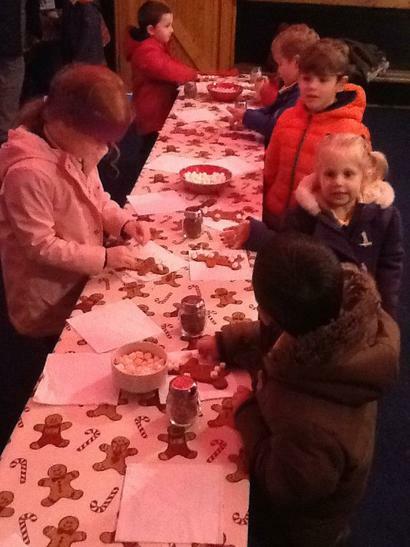 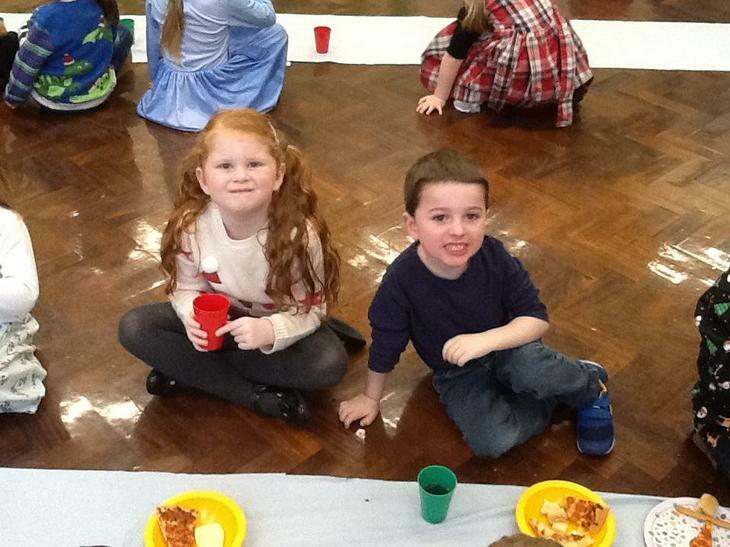 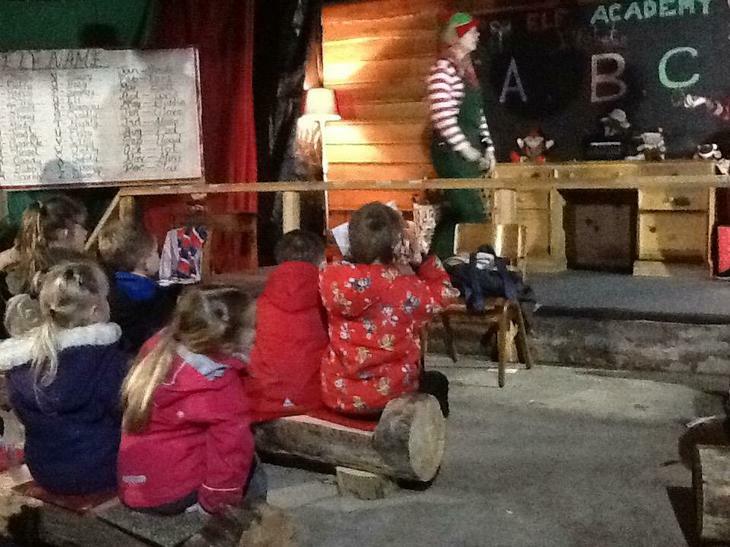 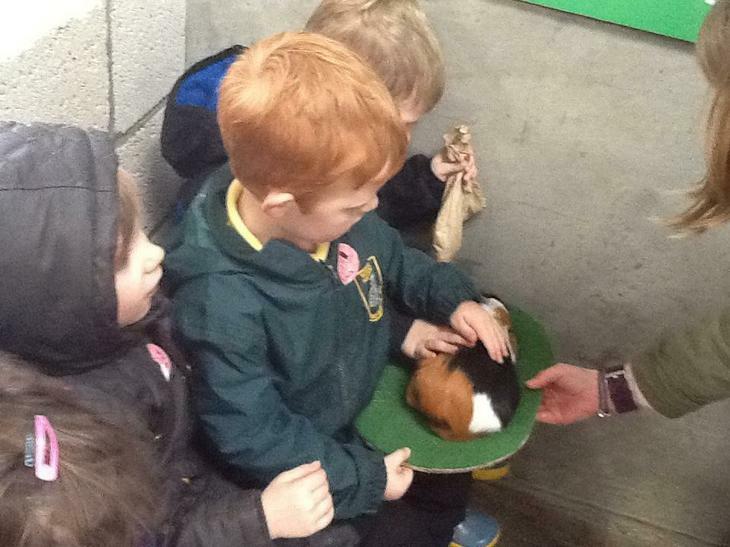 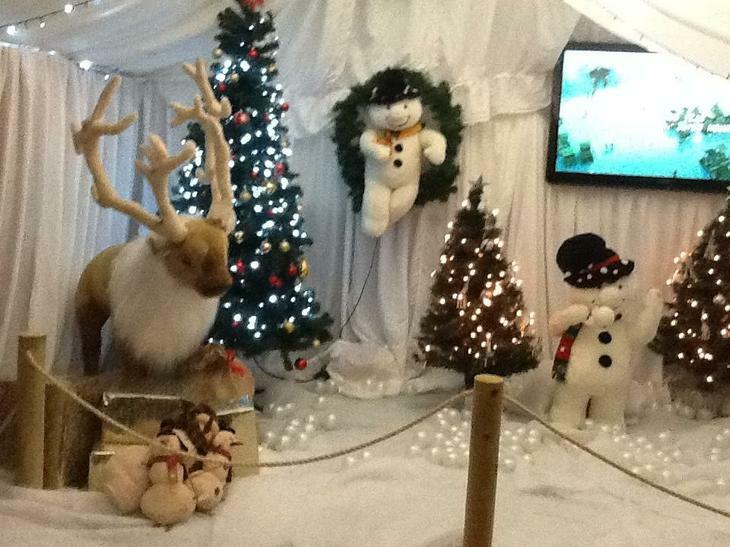 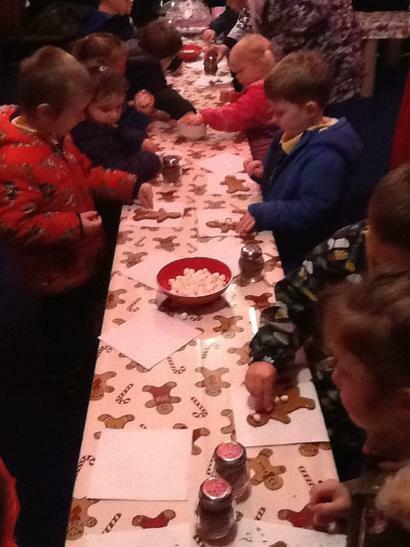 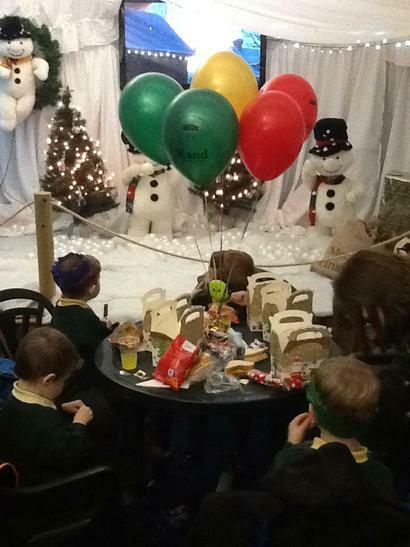 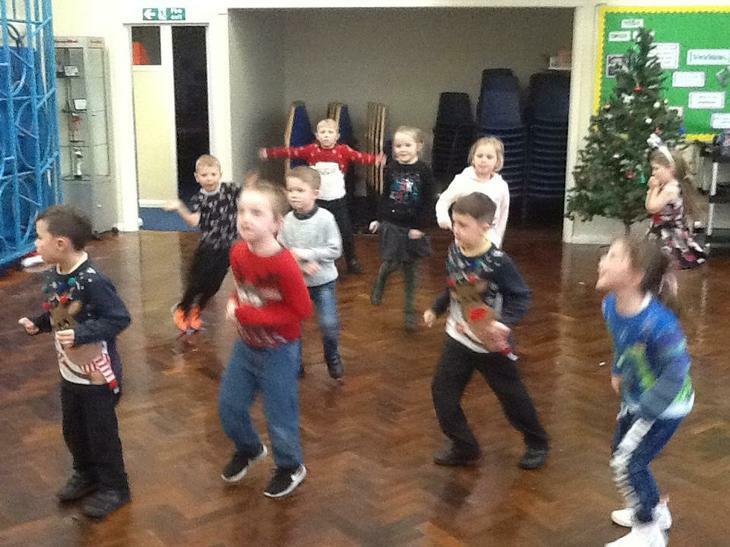 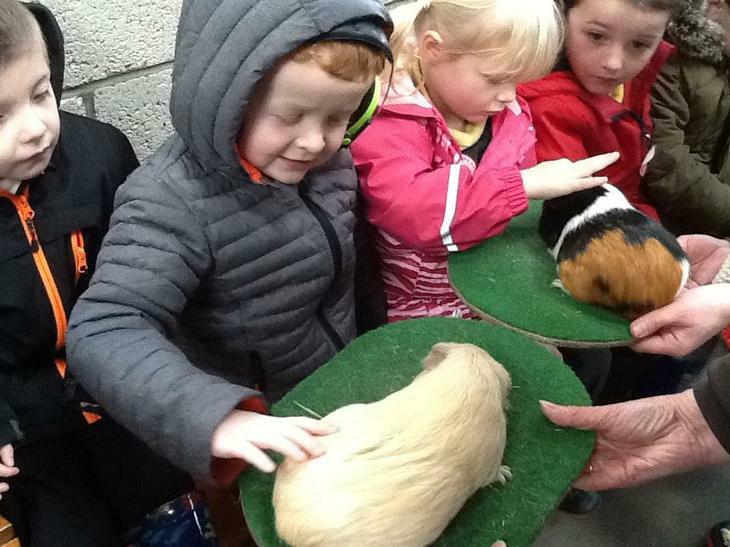 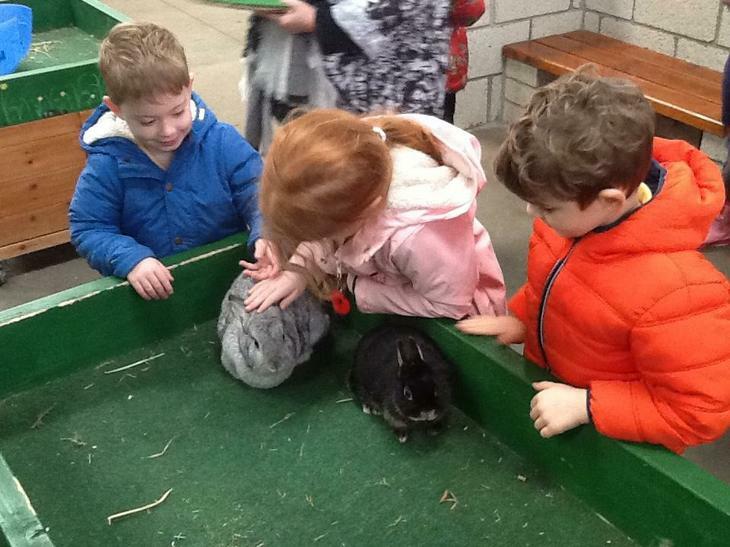 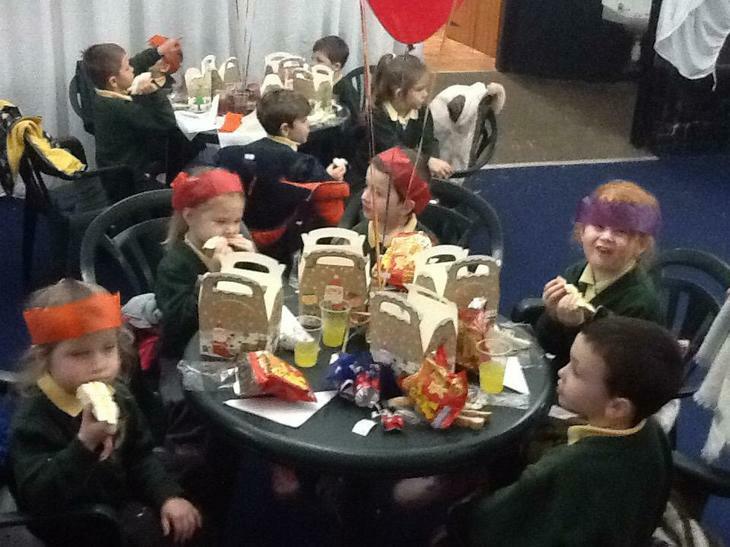 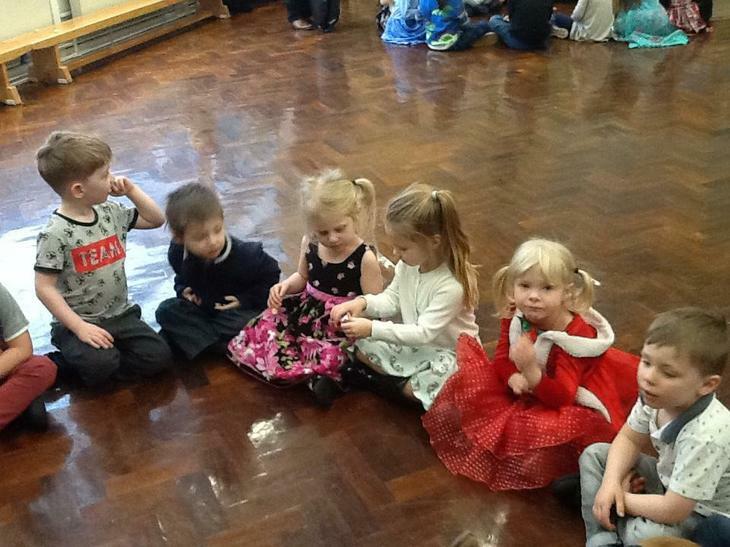 The children had an exciting but brilliant time at the KS1 Christmas party. 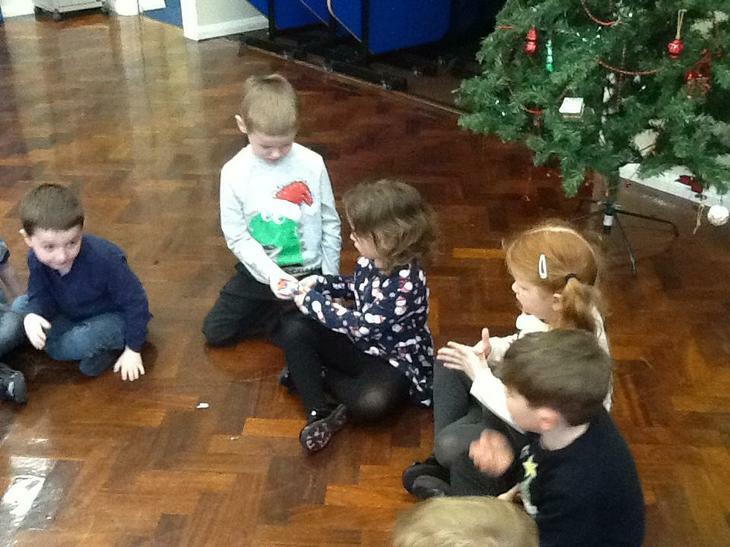 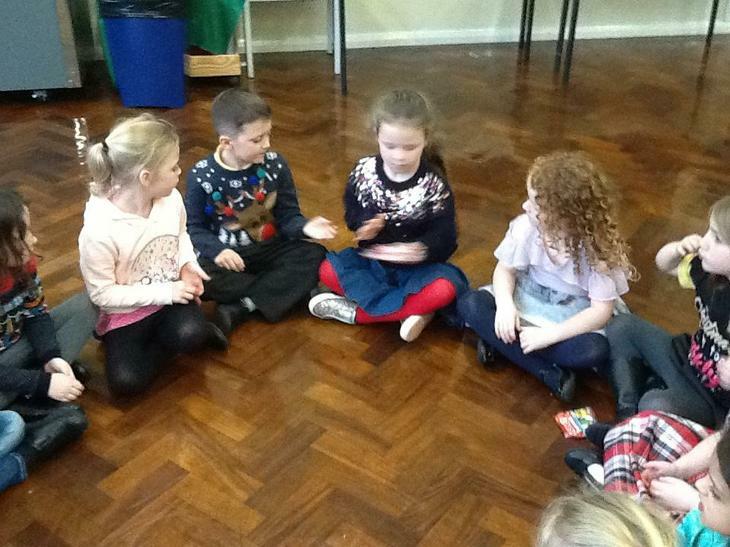 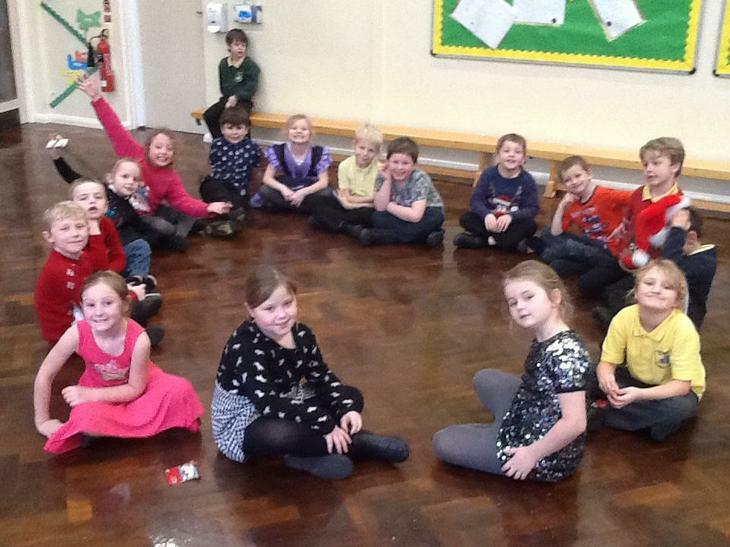 They played lots of games, including pass the parcel and musical statues. 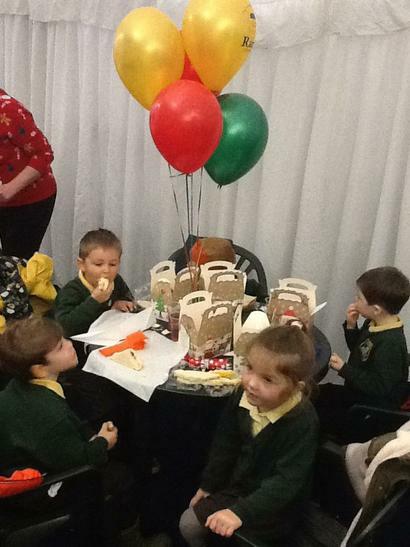 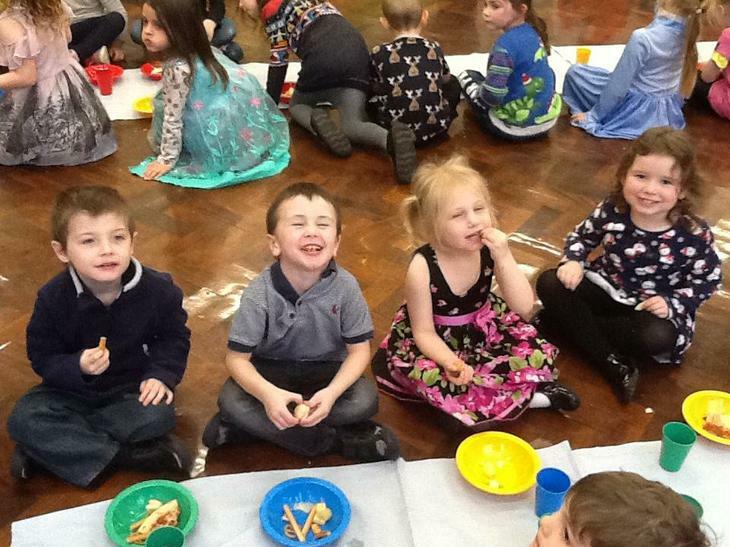 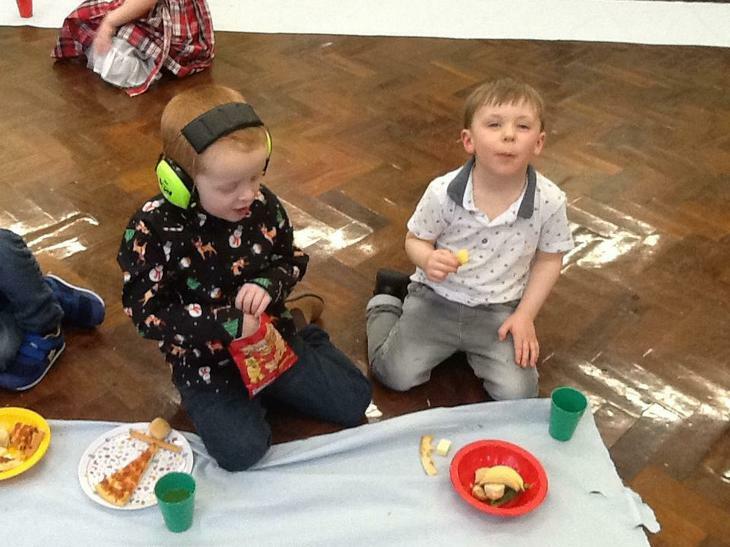 The children danced their little feet off and indulged in sandwhiches and cake! 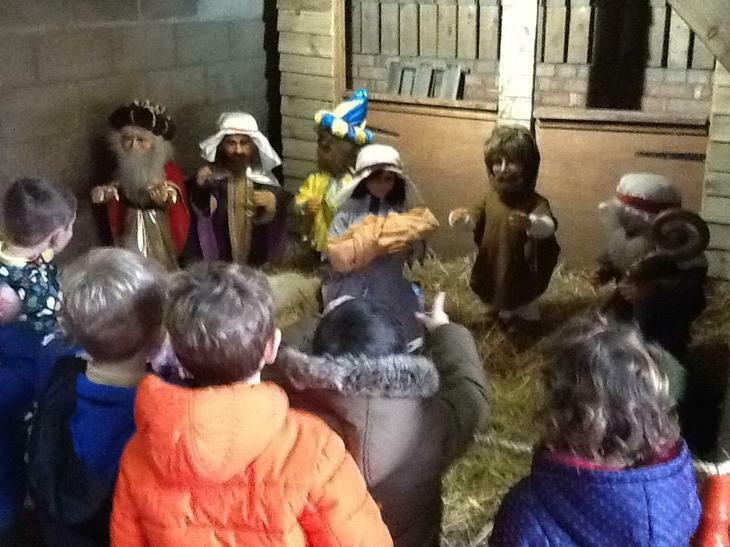 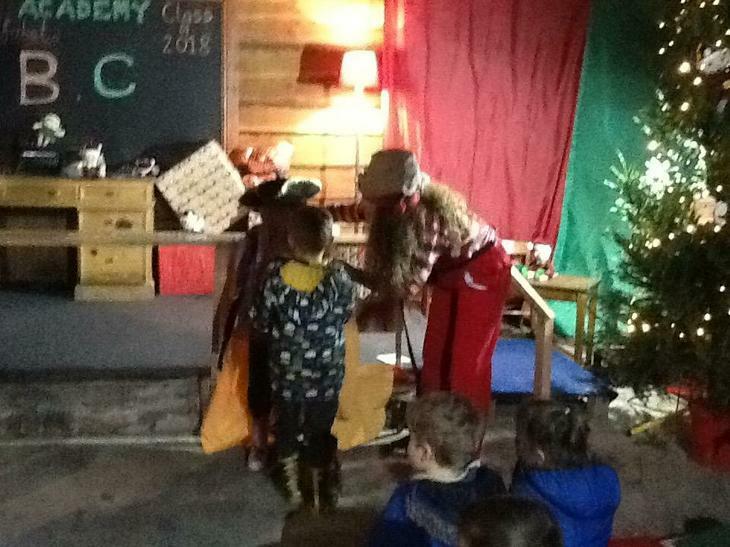 The children did a fantastic job of dressing up as the nativity scene characters, walking around Holy Trinity Church and joining in with singing. 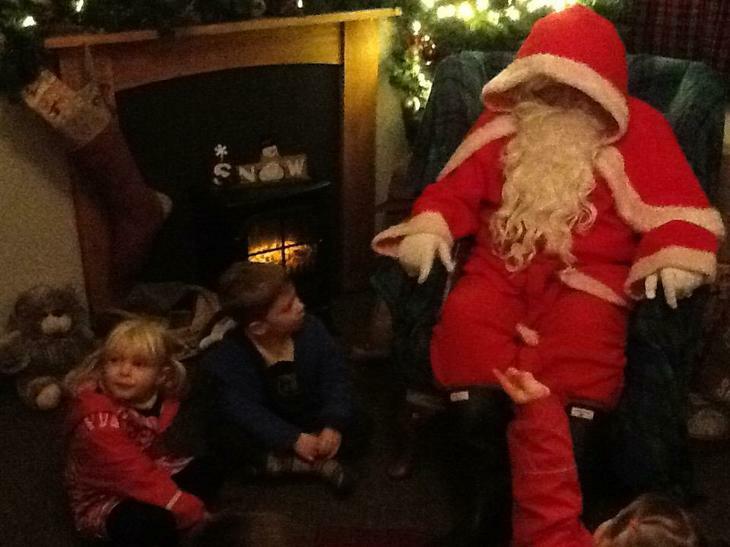 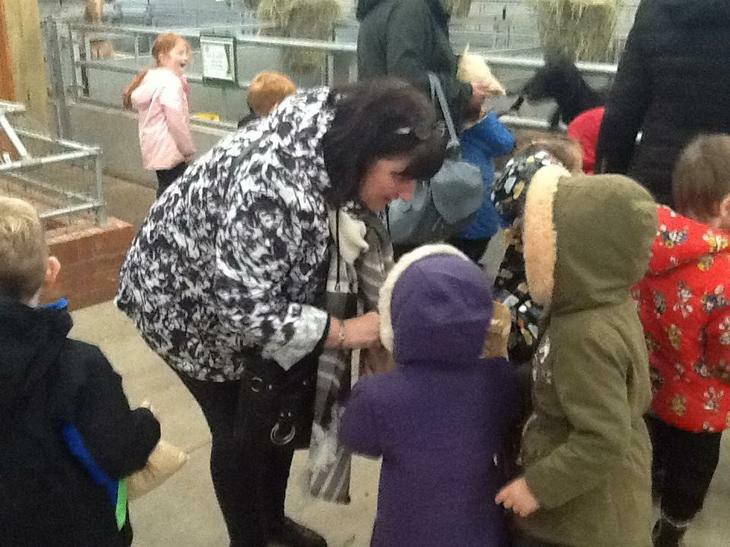 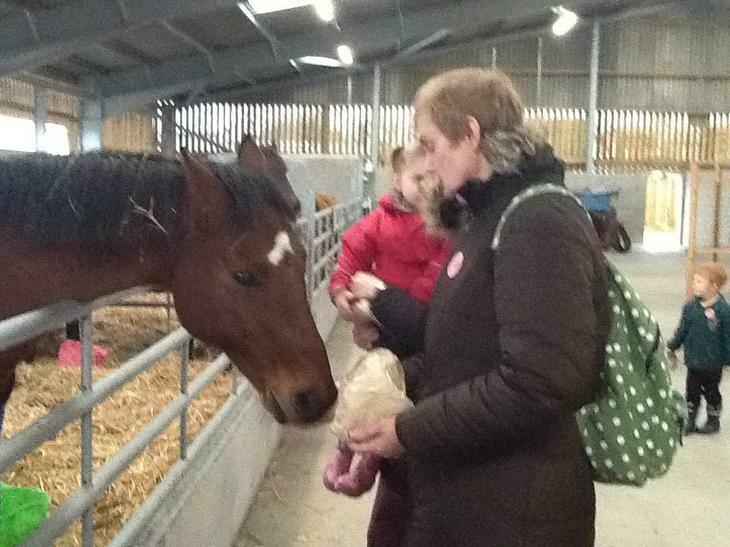 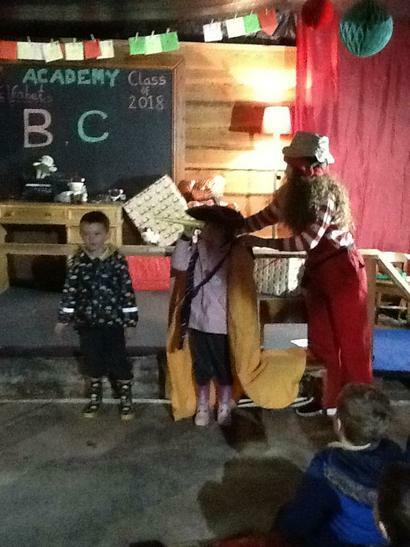 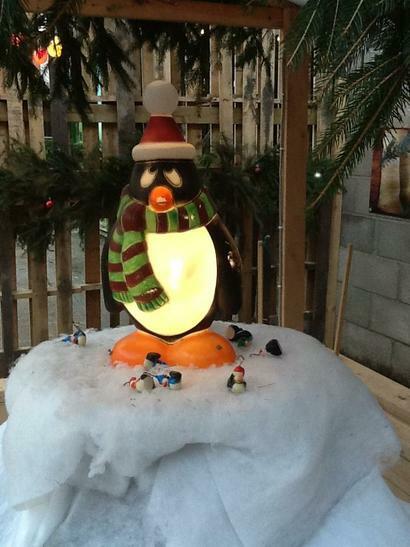 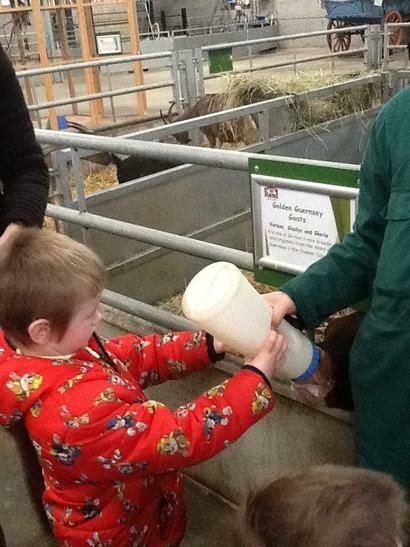 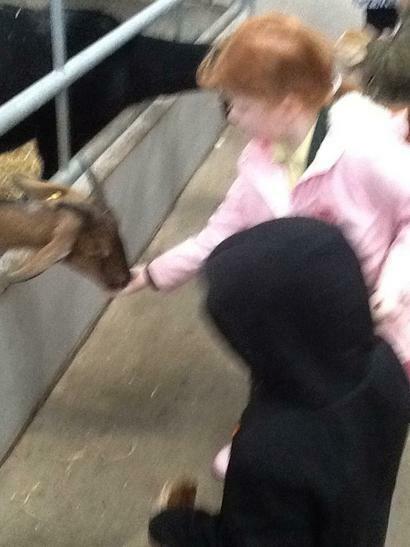 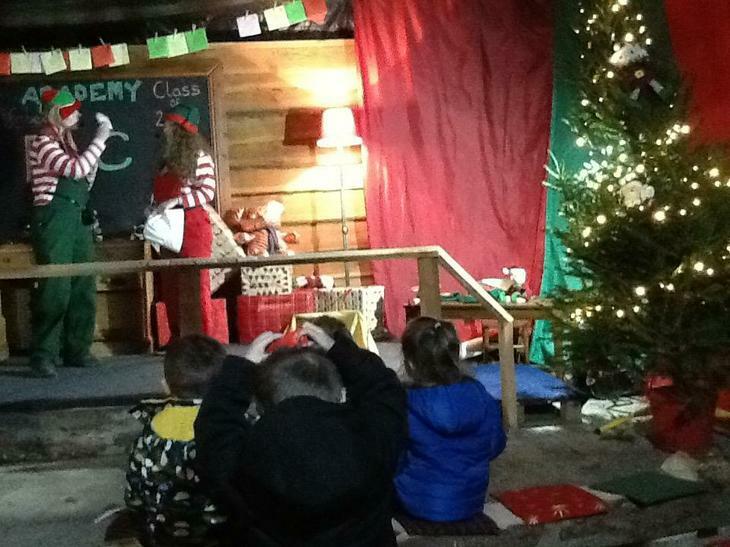 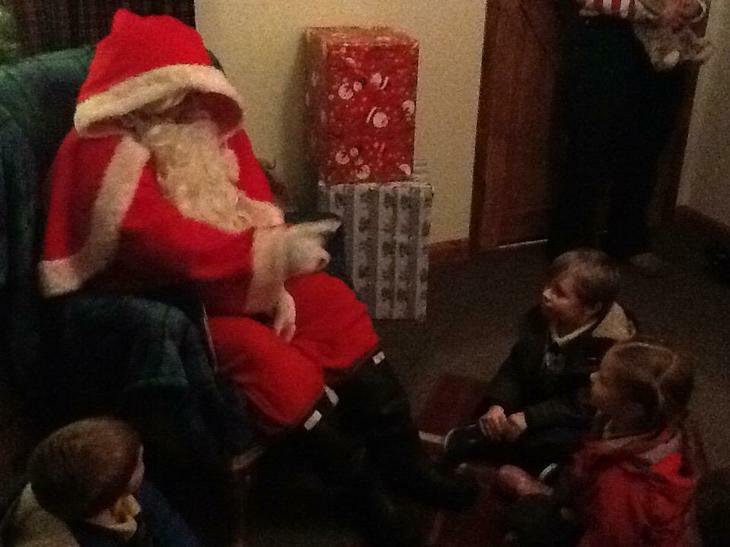 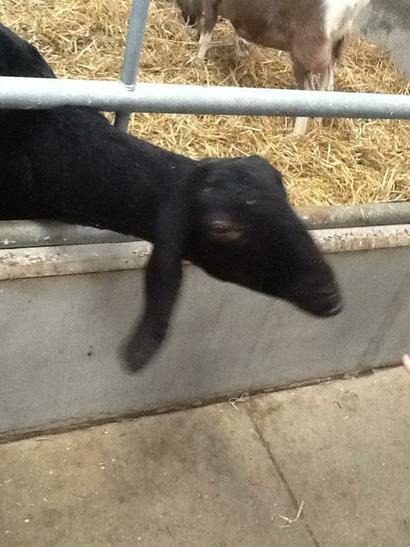 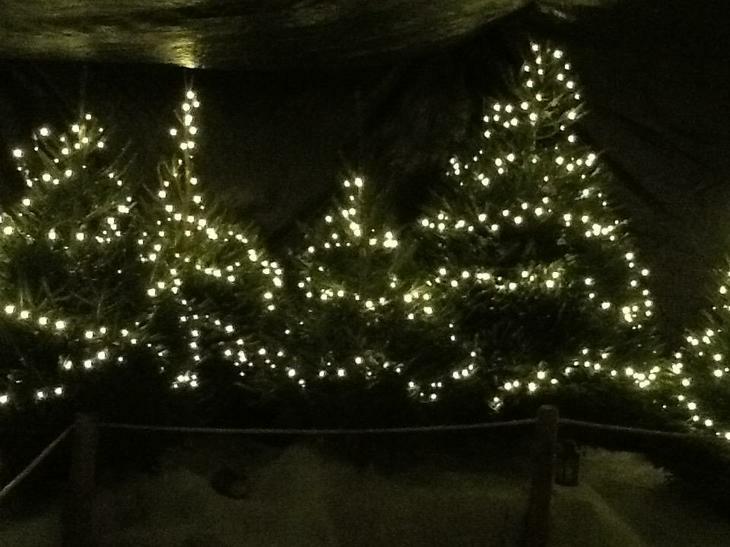 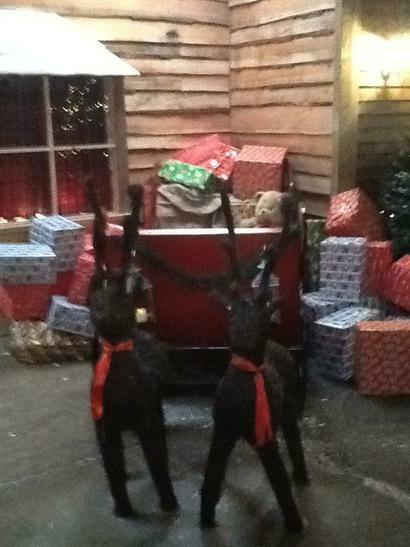 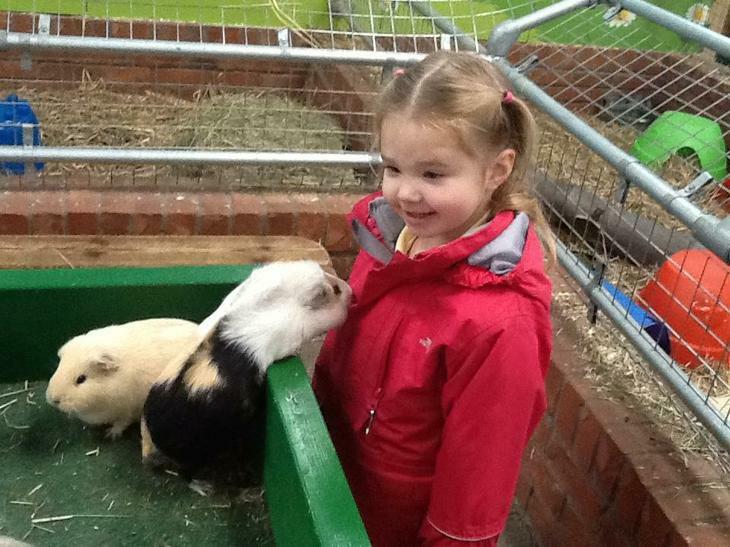 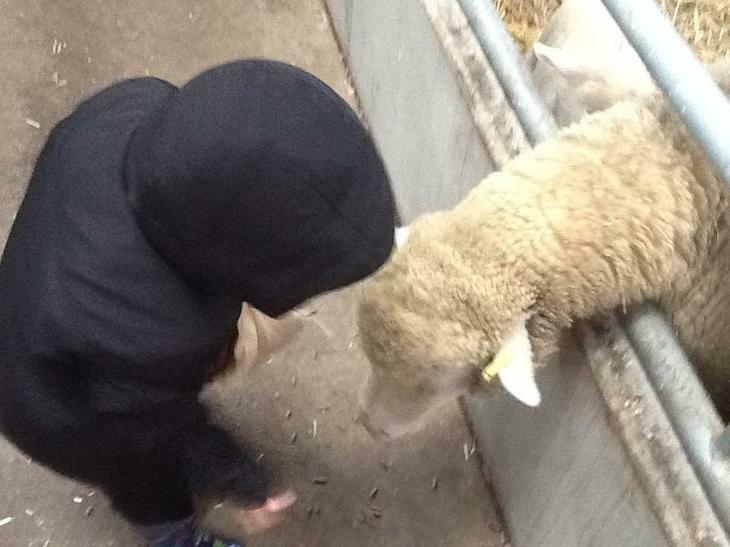 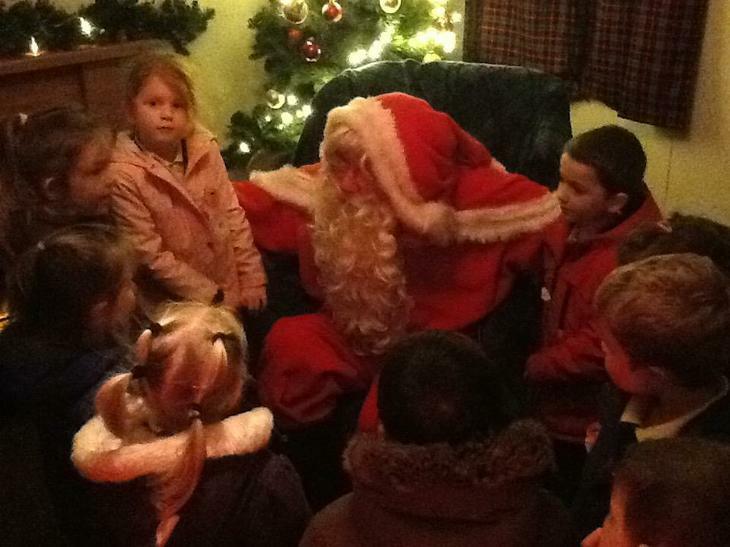 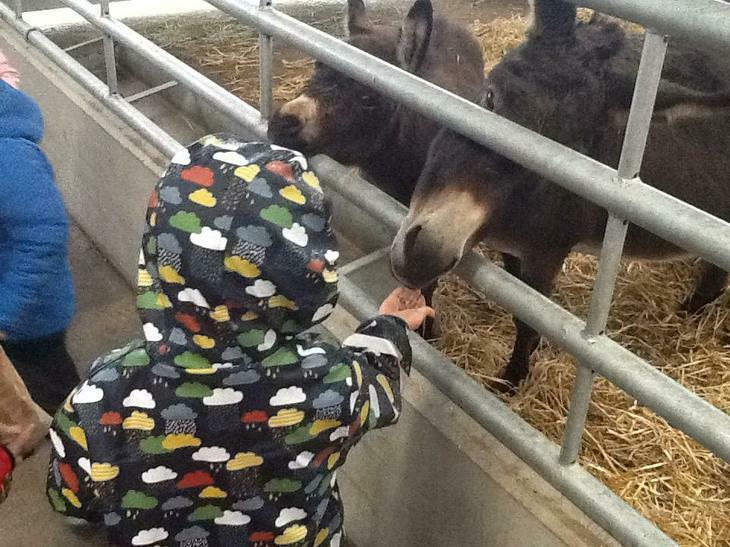 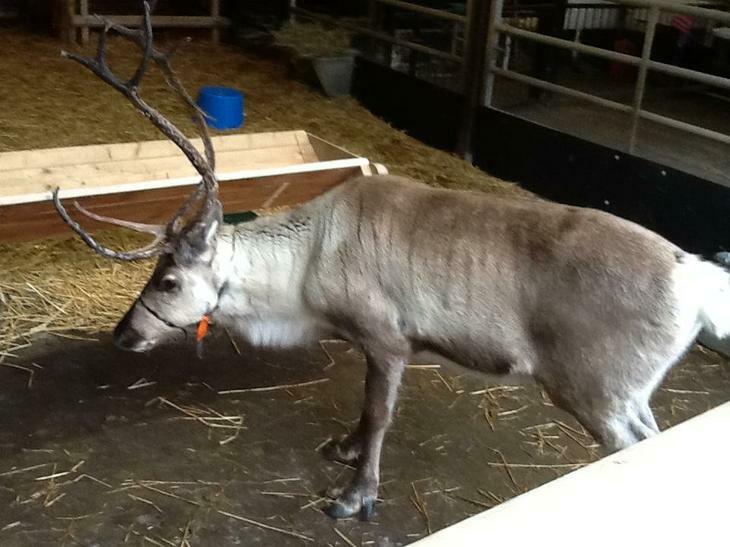 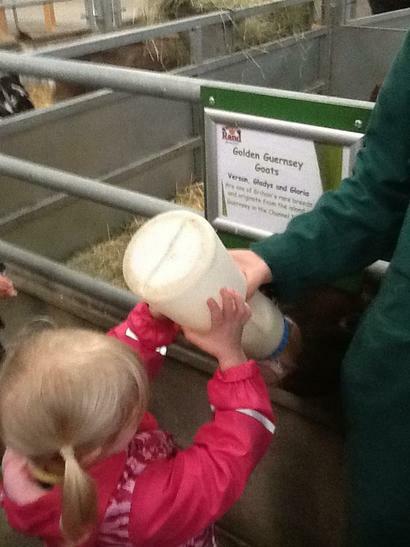 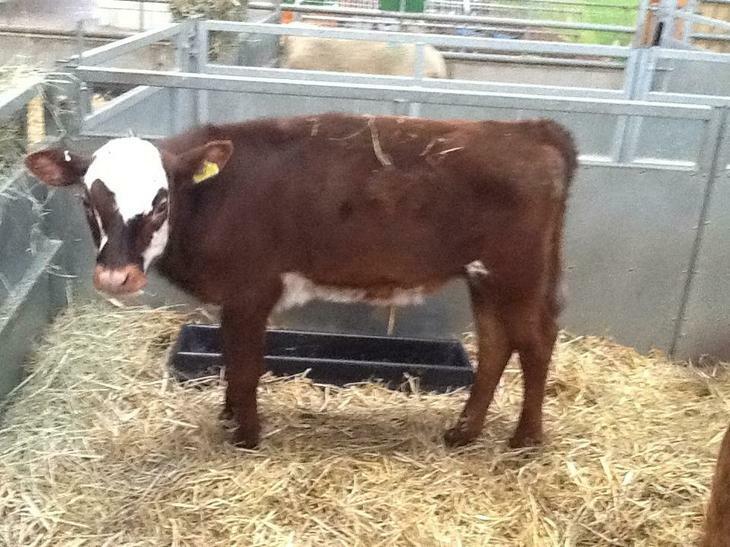 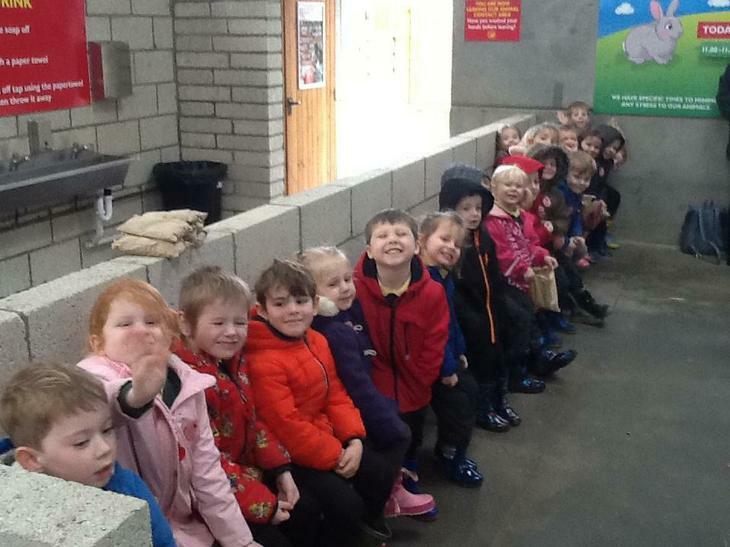 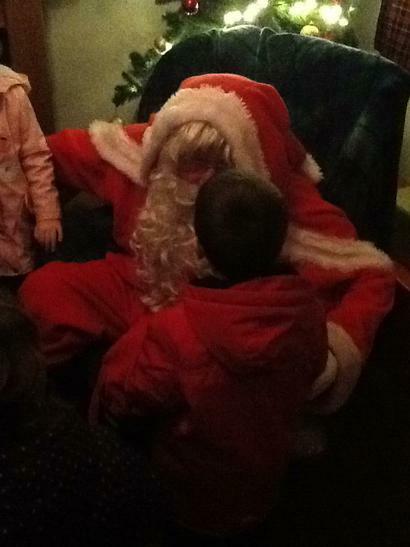 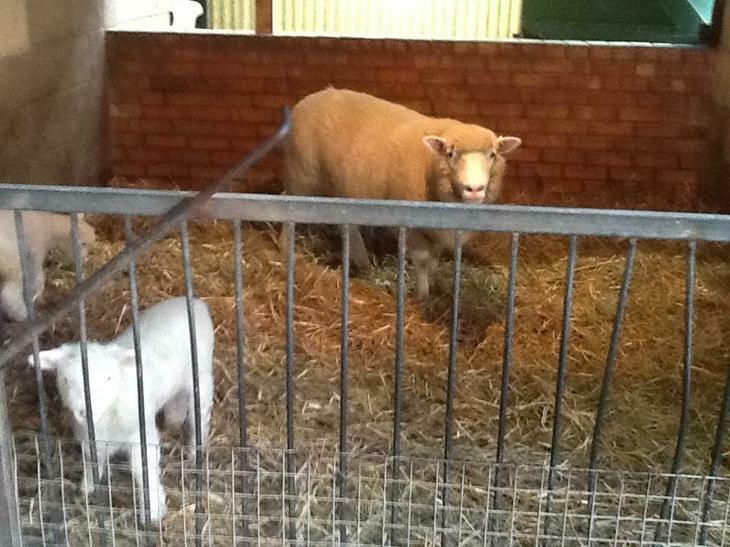 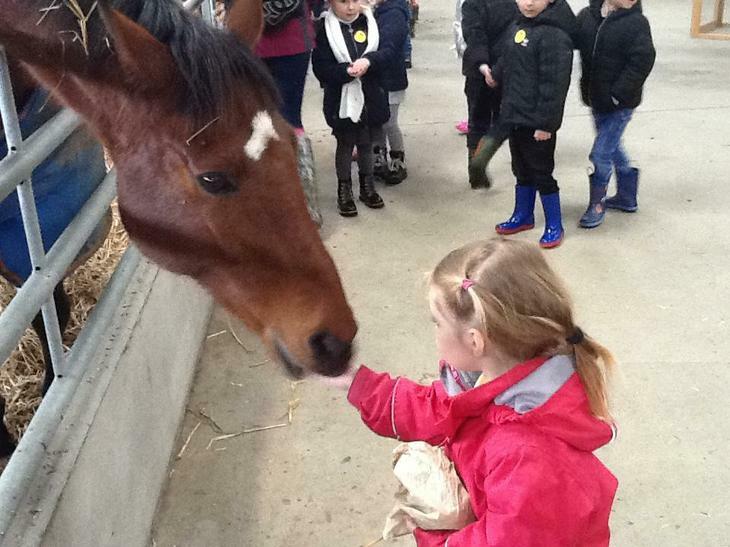 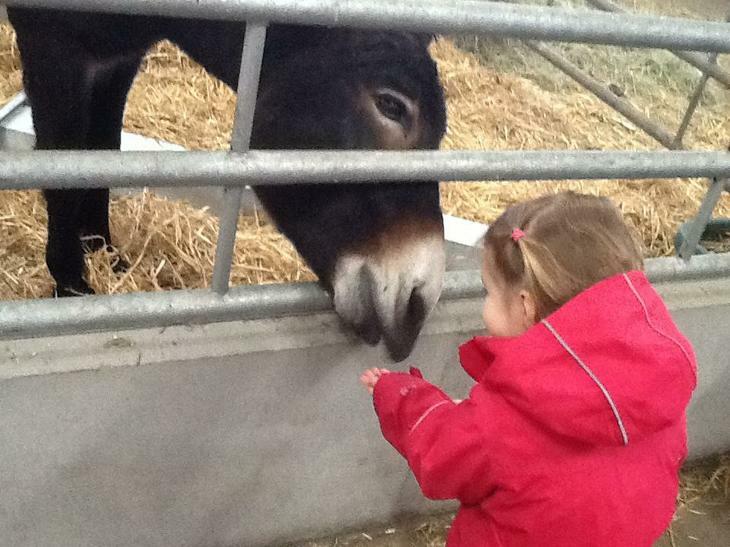 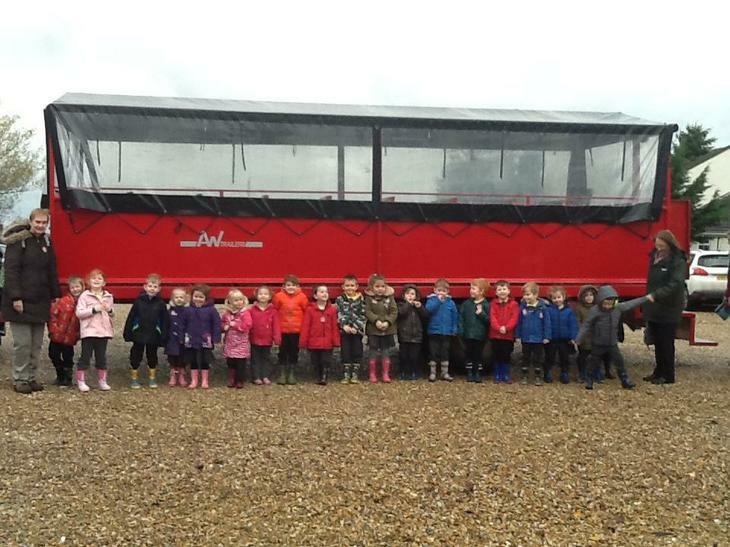 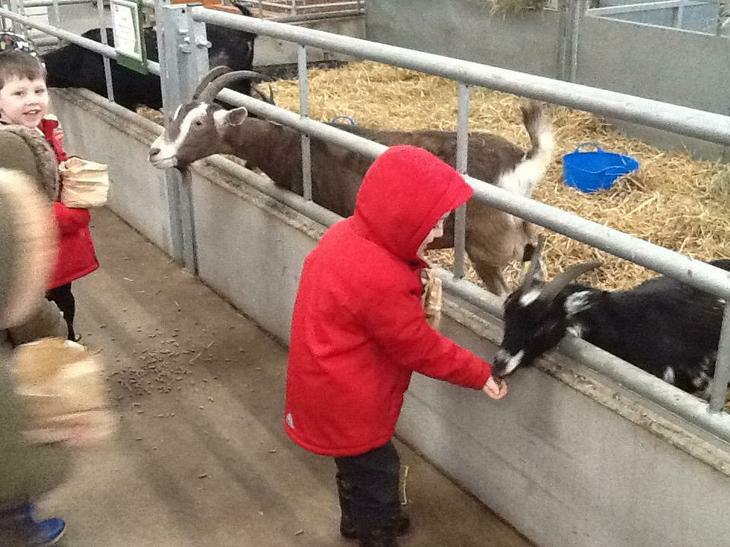 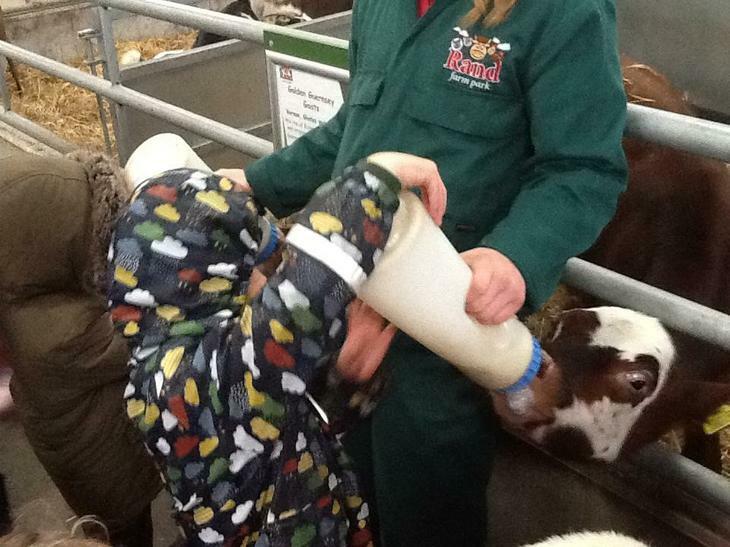 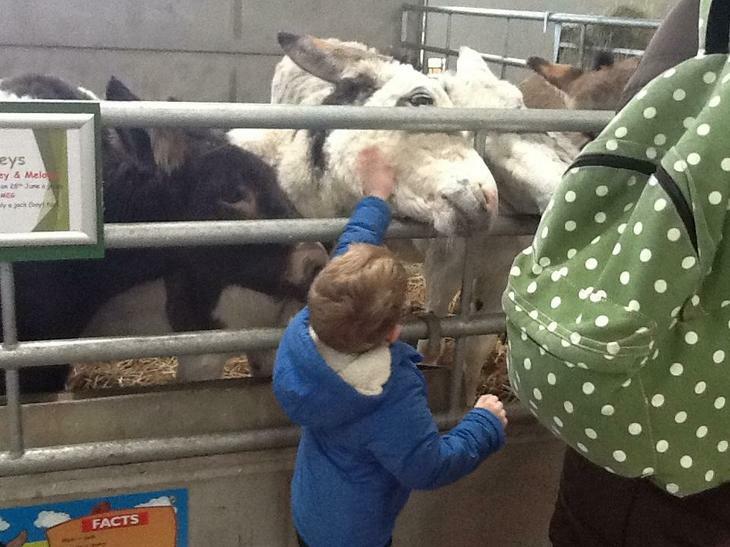 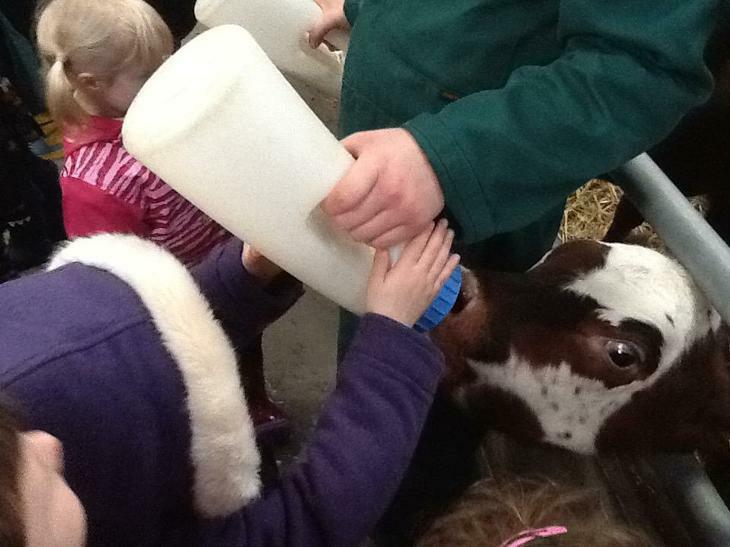 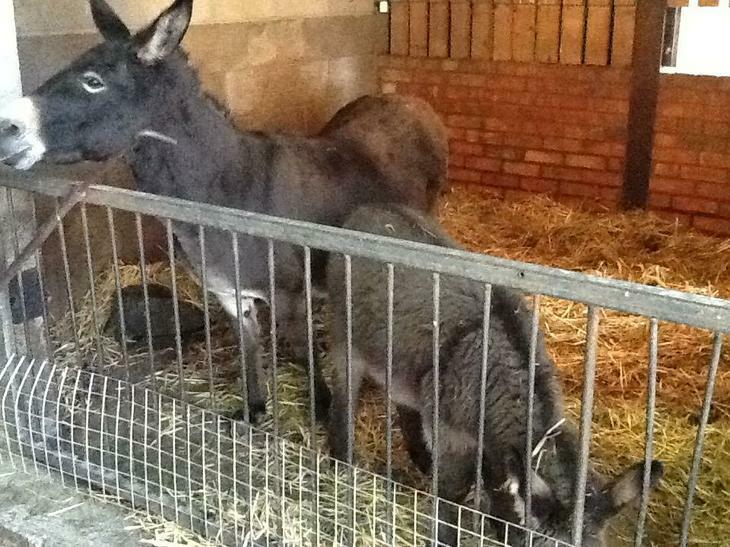 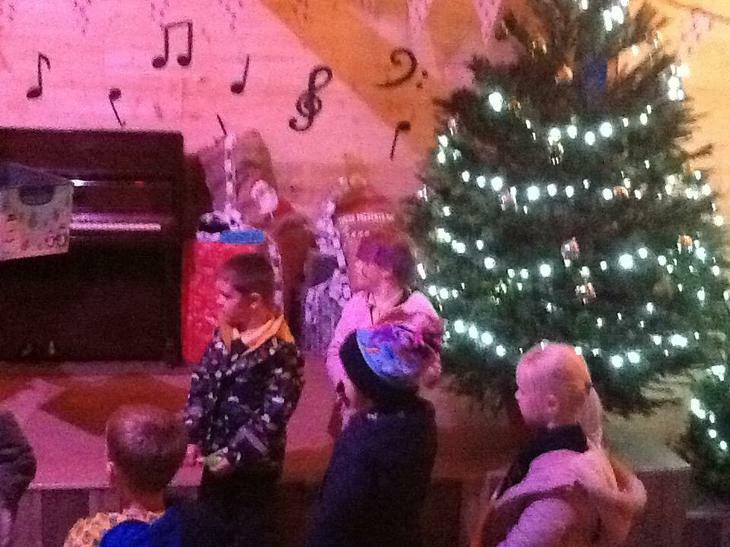 Meeting Santa at Rand Farm Park!